The site has been systematically destroyed over the centuries. The lack of real protection has caused a dual permanent plunder of the site. On the one hand, robbers who sought gold and other valuables had been constantly digging up the site. On the other hand, villagers had been systematically disassembling the architectural remains and taking away tombstones because the ruins were considered a source of free construction material. Therefore, there are no preserved structures on the surface today, and every form of their research and presentation must be done by excavation. 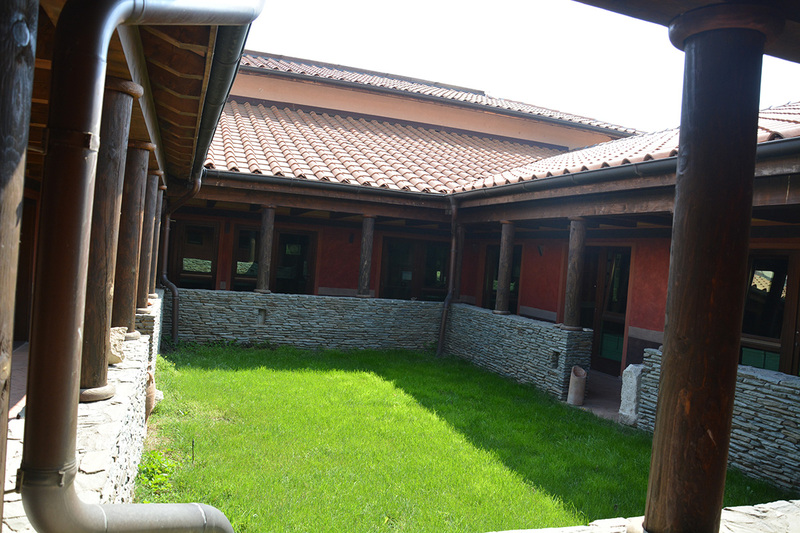 Viminacium is located at the confluence of the Mlava River in the Danube in the last valleys in front of the Đerdap Gorge. It is located at the strategic crossing of roads that led from the west to the east and from the north to the south. The Danube, which is now located about 3.5 km away, was in the immediate vicinity of the city in the antique period. As it is today, the river was one of the basic communications and trade routes that enabled rapid development. 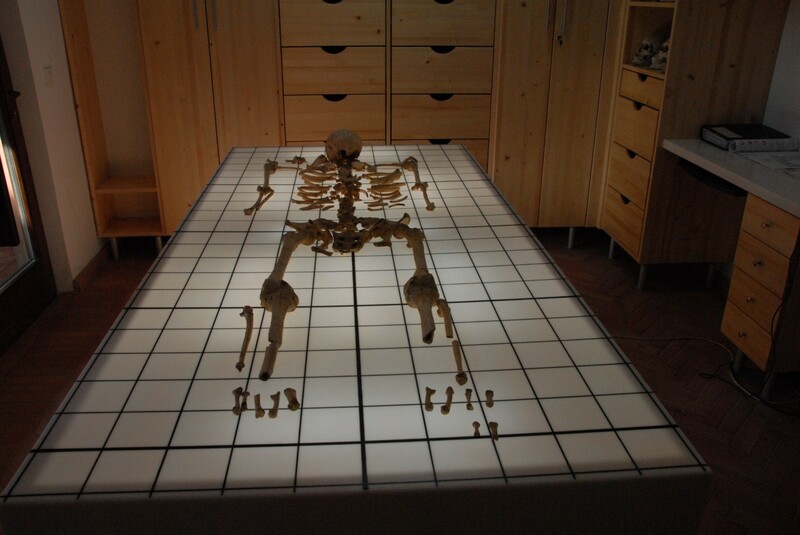 Archaeological research has been carried out on several occasions. 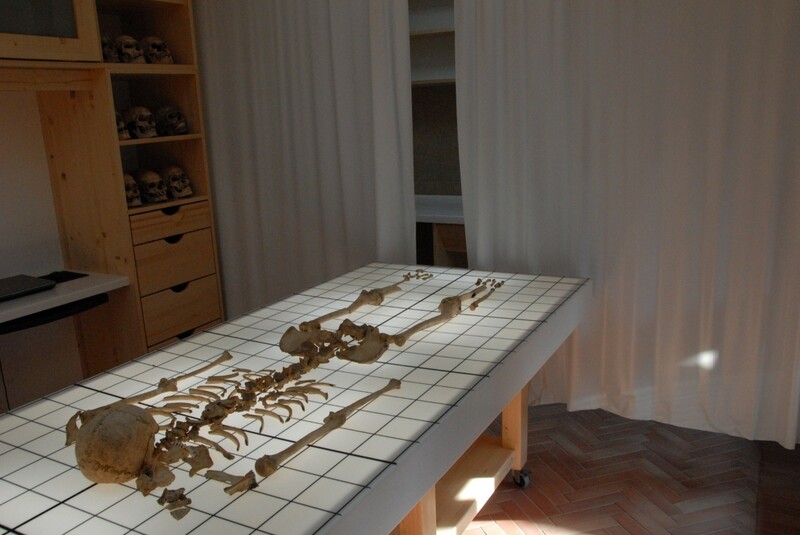 Mihailo Valtrović started the first scientific excavations in 1882 with 12 prisoners because the state did not have enough funds to provide him with a better workforce. 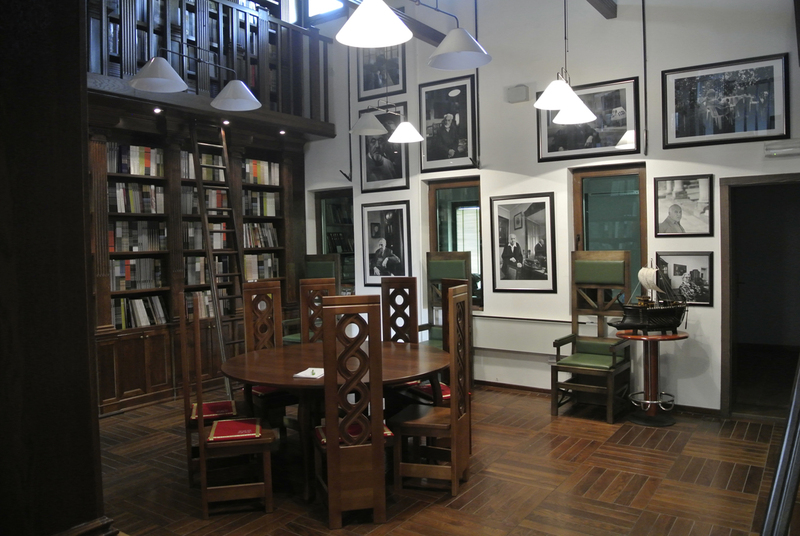 This research was followed by Miloje Vasić, the first Serbian educated archaeologist in 1902-1903. At that time, Queen Draga also paid an official visit and gave 100 gold coins to help continuation of the research. This can also be taken as the first donation for scientific research of ancient cities in Serbia. 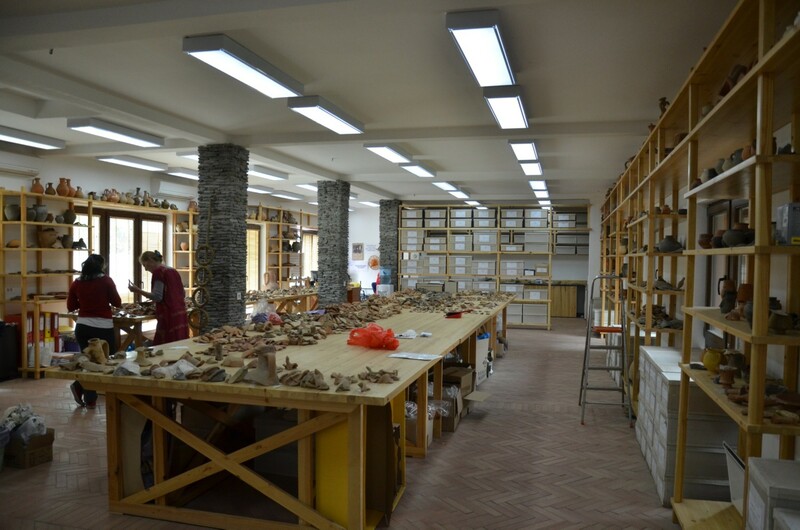 The continuation of work at Viminacium waited for decades until the moment when the Institute of Archaeology started the project in 1973. Systematic protection works lasted during the seventies and eighties in the area of the southern necropolises where the thermal power plant “Kostolac B” was built. During the nineties research was carried out periodically at places endangered by construction works. Since 2002, parallel archaeological and multidisciplinary research has been carried out systematically in the area of the Roman city, the legionary fort and the Roman necropolises. Everything that has been explored since that year is in the function of presentation and archaeological tourism. 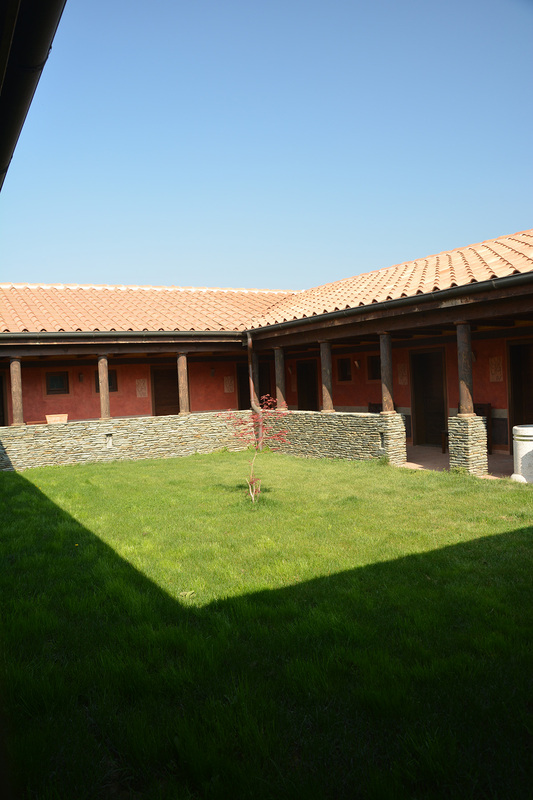 In this way, in just 6 years the Viminacium archaeological park was built. 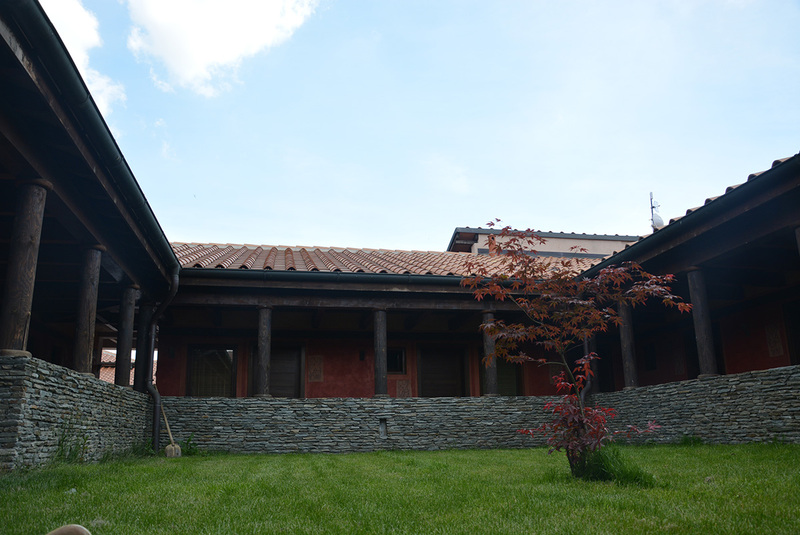 It is the first archaeological park in the central Balkan area. It is open throughout the year (except for January 1st) from 9 a.m. to 7 p.m., and per special request it is also open during the night. Domvs Scientiarvm is an exceptional destination that has a multifaceted role both in the business and in the scientific sense. 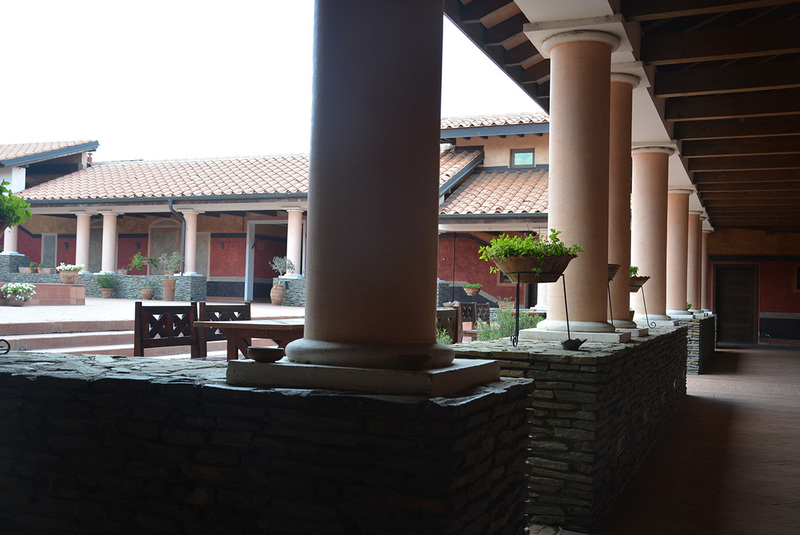 It is an integral part of the inseparable entirety alongside the Roman city and military fort. 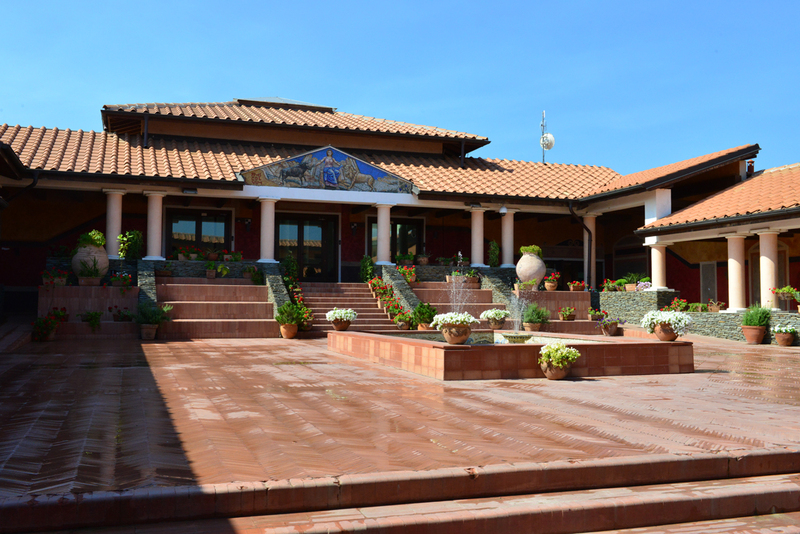 The facility should provide income through the reception of visitors, organization of congresses and thematic gatherings that along with other tourist attractions will bring financial resources from which further research and development of the archaeological park will be financed. DOMVS SCIENTIARVM is the highlight of a specific and unique tourist offering with authentic Roman ambience. 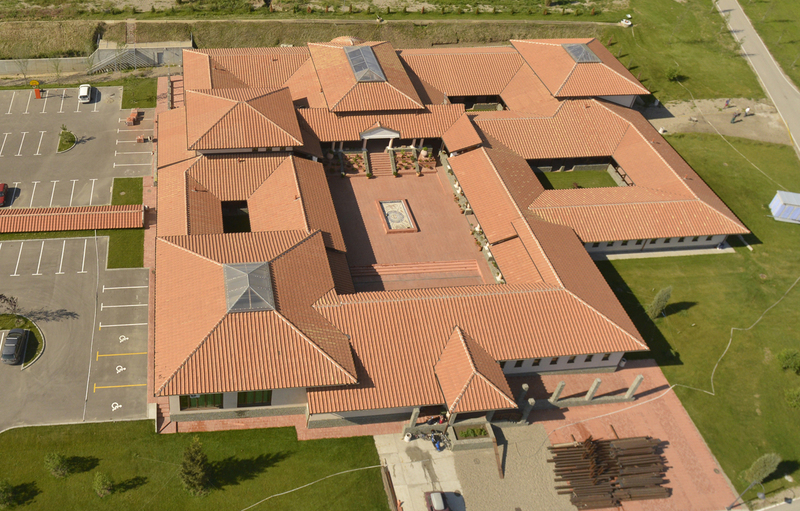 In the future, completion of the construction of the facility will enable the opening of a number of new jobs for staff of all educational backgrounds in various vocations, which will on the one hand provide support to the expert team, and on the other serve as a tourist service that will enable further financing of works in the archaeological park through various services and jobs. 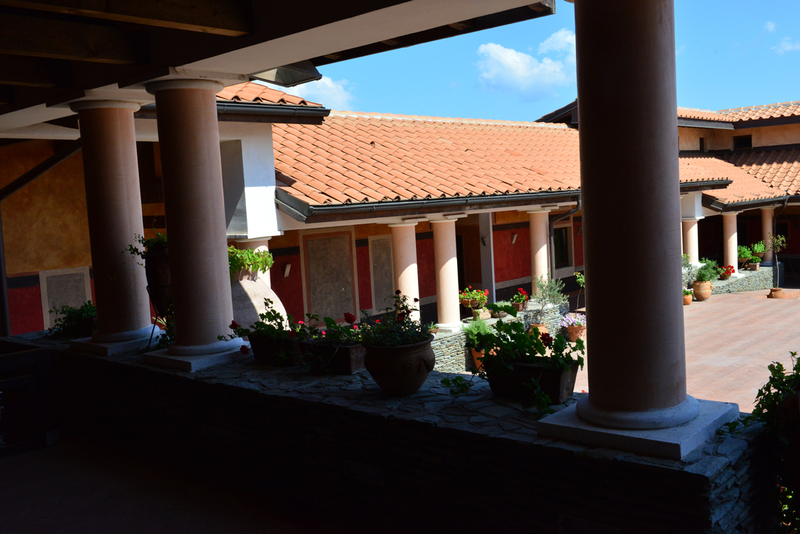 Domvs Scientiarvm was conceived as a place where business and intellectual elites would gather in a certain period, in the ambience of the exploration of the Roman city and military fort. In other periods it would be used for tourists. 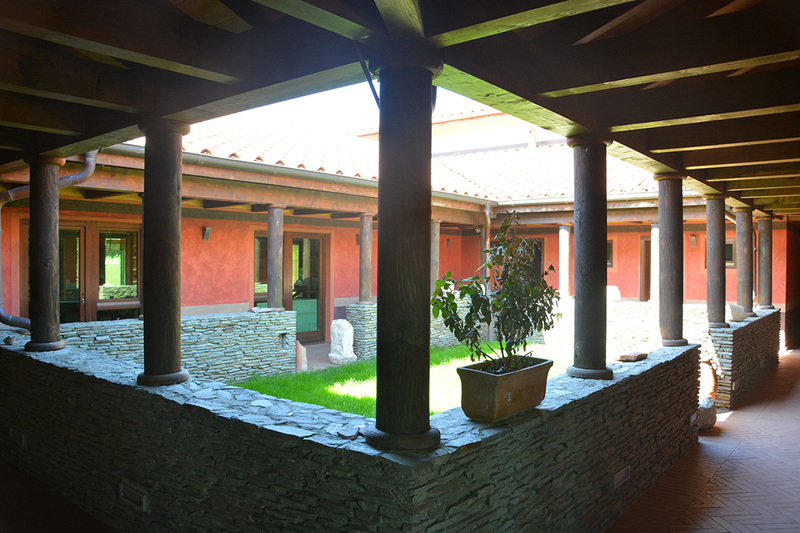 The building is designed in the shape of a Roman villa rustica. The building is conceived to have two levels: An above ground or upper level with working and accommodation space, and an underground or lower level with museum, depots and halls. The upper level consists of a number of atriums with offices, laboratories, and premises for accommodation and individual work of the expert team and accommodation of visitors, which are located around them. 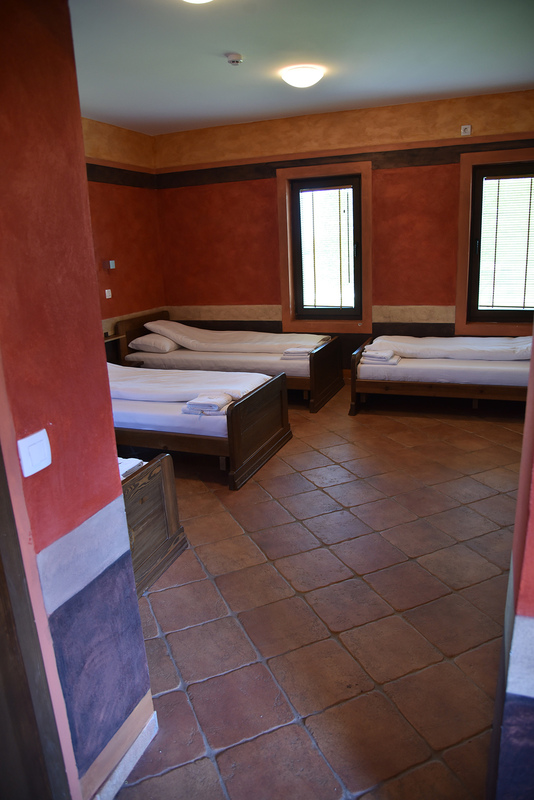 In addition to the aforementioned at this level, there is a library with a reading room, documentation centre, kitchen with a dining room, and a replica of Roman thermae that has potential to be a small spa centre. The lower level is a partially isolated zone with increased safety and strict climate control required for the museum collection and depots. The first phase involves the digging and building of an underground part of Domus. The second phase involves the construction of the upper part of Domus. The third phase involves interior works and commencement of the structure functioning. The first phase, i.e., construction of the underground part of Domus, began in December 2007 and was completed in March 2008. 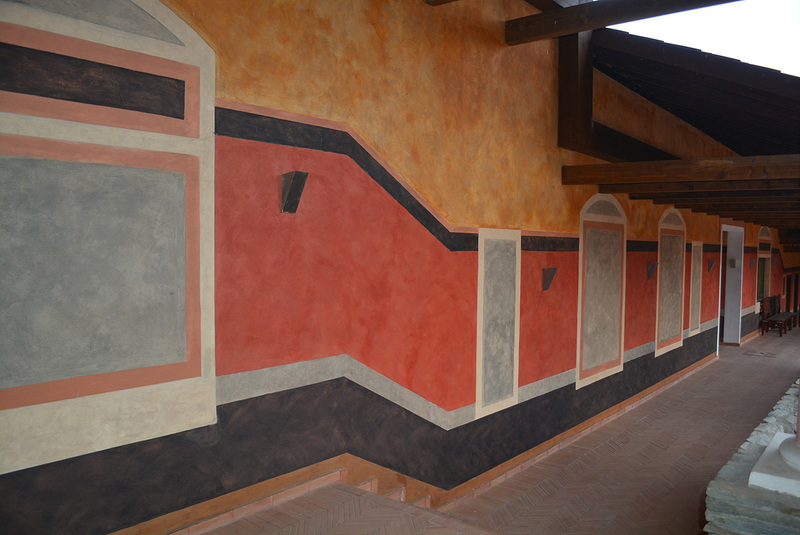 The second phase, i.e., the construction of the upper part of the Domus began in April 2008 and ended in June 2009. The third phase, i.e., internal works, will be continued by sub-phases. Each sub-phase includes the adaptation and start of functioning of one of the building wings. It started in July 2009 and its completion was planned in September 2010. 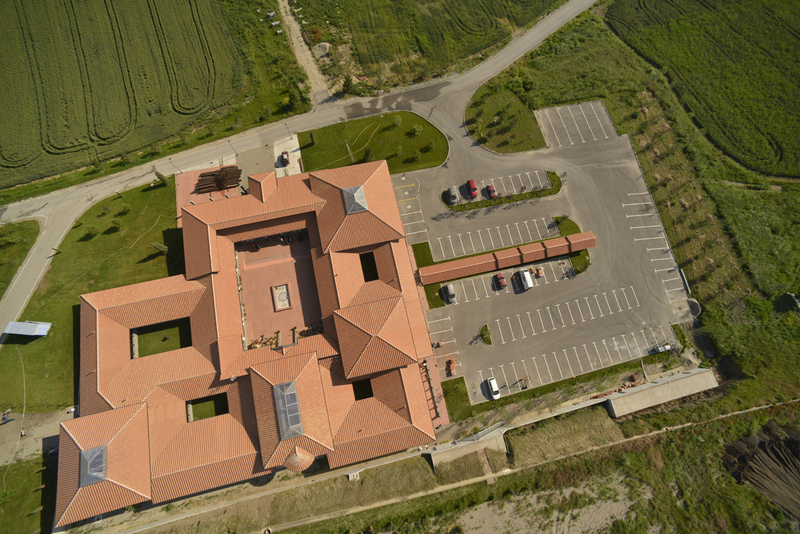 Viminacium is located in an extremely attractive location along the Danube, which allows it to be accessible to tourists directly by waterway. 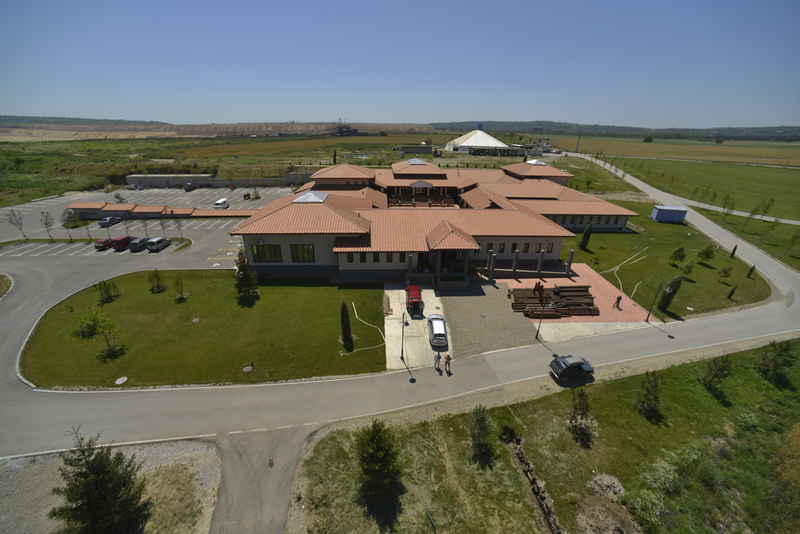 The VIMINACIVM – DOMVS SCIENTIARVM facility was designed on cadastral parcels 499, 500, 501, 502, 503 and 504 of the cadastre municipality Kostolac Selo, 12km from Požarevac, not far from the “Drmno” thermal power plant. It is located at the archaeological site Pirivoj, in the surrounding of the covered Roman necropolis – Mausoleum. 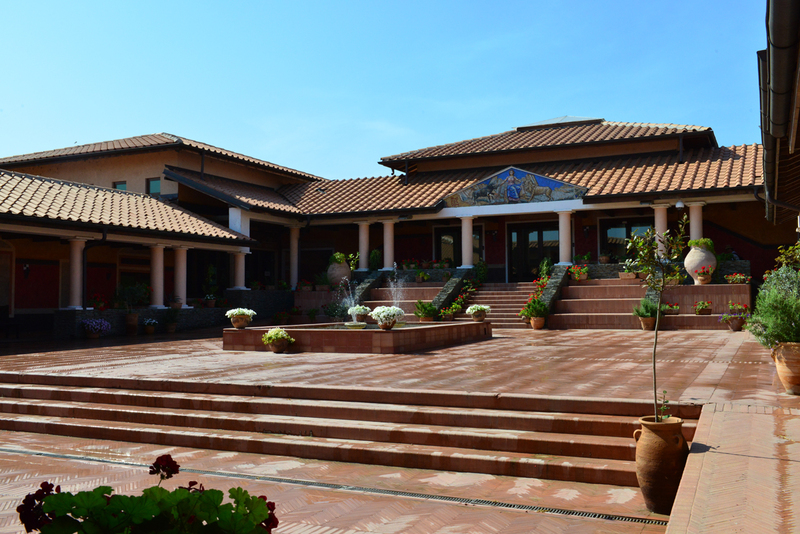 The building is located on a sloped terrain, sloping in the south-north direction. Due to fire safety requirements related to the size of the structure and the length of the evacuation routes, there are five access points to the facility on its three sides. Access for fire fighting vehicles, their undisturbed operation, and free access from at least three sides of the structure is enabled by the existing roads. The main access to the facility from the north side functions as the main entrance / exit and fire exit. The approach for supplies from the same side of the facility functions as a supply entry and exit point to the kitchen, but also as a fire exit for the personnel of the supplies part of the building. The access point from the west side of the building functions as a fire exit for part of the structure that is connected to the west side as well as for potential official communication. The access point from the east side of the building functions as an alternative fire exit and probable official communications location. The ramp from the east side of the building leads to the fire exit from the underground part of the building and serves as a supply route for providing the underground space with equipment and exhibition elements. The main entrance is accessed through a stepped ramp for pedestrians and a ramp for people with disabilities. The supply entrance and the two entrances from the east and west side are accessed by a staircase that is necessary due too the inclination of the terrain. The external entrance to the underground space is enabled by the aforementioned ramp. The structure itself is oriented in such a way that it can be visible from the side of the access road that leads further to the mausoleum. Thus it becomes an unavoidable part of the route that starts at the entrance to Viminacium near the Drmno thermal power plant, passes beside the archaeological sites that have been already explored and covered, alongside the structure itself, which from that direction becomes visible from the distance, and arrives at a hill-side that climbs to the Mausoleum, currently the most important touristic place of Viminacium. Located below the slope, accessible, and on the ground level, the structure is a place where tourists can rest and view the exhibition spaces in the building, just as it is a place for longer stay for students, professors, scientists and guests-tourists. Access plateaus and green areas are planned around the building. All the above helps Domvs Scienarvm serve as an attractive tourist offering on multiple levels – scholarly expertise, scientific, research as well as marketing. In the building with total dimensions 65,73m by 60,25m, the contents are formed in three main levels – two underground and one above ground. The above ground level has its sublevels, because it is levelled in four units, in such a way following the slope of the terrain and separating the wings of the structure functionally and visually. On the underground level-2 there are exhibition spaces, a presentation hall and technical rooms-boiler room and a hot water and air-conditioning preparation chamber. The level is accessed via a staircase that starts from the ground floor exhibition room. The exhibition space that precedes the underground hall will be segmented by interior linings and partitions into niches and corridors that will have their logic for moving and viewing the exposed objects. The exhibited items will be replicas and copies of the ancient originals found at the site itself, but also the original exhibits will be preserved here until their placement in their respective museum. The premises will be secured, and the hall will be used for presentations and exhibitions with 100 seating places. 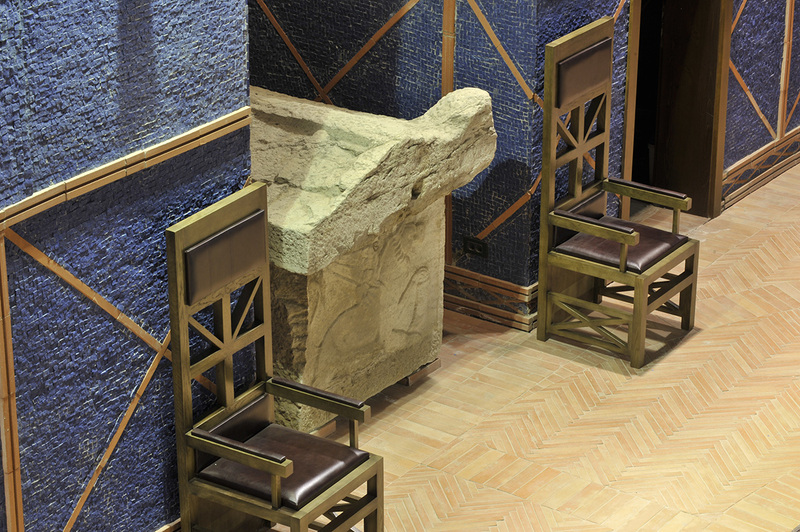 The hall is designed in such a way to have a central space and three niches in which sarcophagi will be placed. Its actual height is4.40m to the beam of a coffered ceiling which as such allows the absence of all bearing pillars below it. The coffered ceiling fields are 55cm deep and can be painted, or illuminated with decorative lighting, in accord with the interior and exhibition purpose of the space. The niche that is most distant from the room entrance is the ultimate reach of the sun beam, which in the winter period, when the rays penetrate at the smallest angle into the space, passed from the slope at the south of the building, through the apertures of the apse, the opening in the plate of the exhibition space, and openings in the wall of level – 1 that look at level -2, and thus illuminate the painted or mosaic depiction on the niche wall. 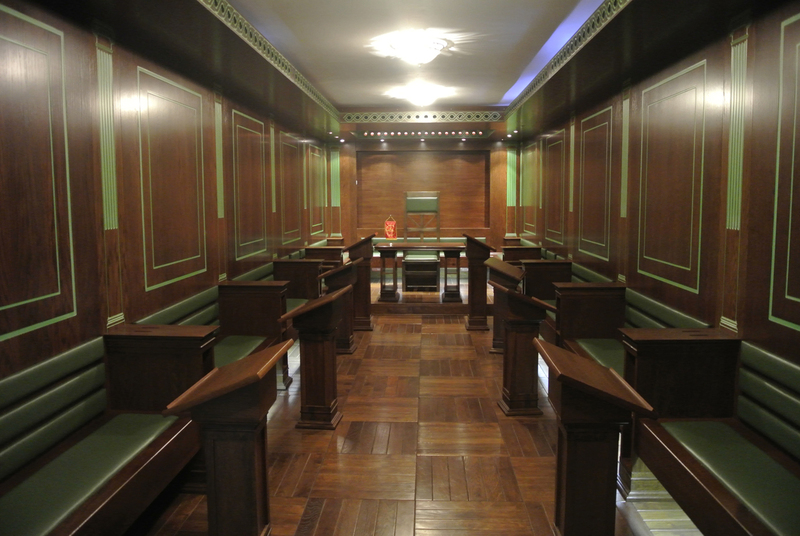 The smaller exhibition room next to the hall is very high(5.00m) with elongated base dimensions (2.80mx7.00m) – due to its function as the “deaf room” where visitors will be exposed to audio-visual effects becoming a part of the exhibition without exhibits, with the sounds and images that are changing on the walls of the room. Next to one of the sarcophagi, a fire exit will be installed through the niche, which will lead out through the underground ramp (tunnel). At ground level-1 there are exhibition spaces. 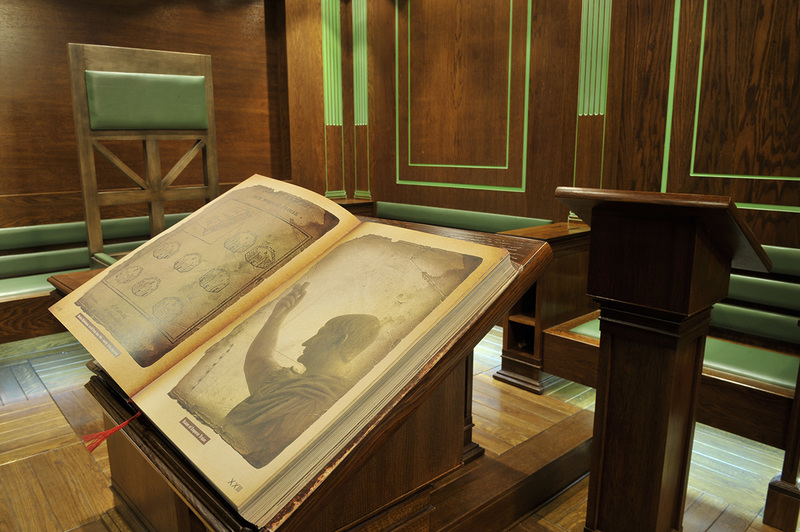 The first room to be accessed from the staircase is the room with the exhibits on the pedestals. The central postament will “carry” a central exhibit (the selected sarcophagus with a fresco or other) from which one can move further towards a room with an oblique ceiling that descends to a lower height to hall of level -2, where through the glazed opening one can look at the lower level of the hall at a lecturer or a canvas projection screen. All exhibition spaces will have permanent and temporary settings. Permanent settings will include copies of antique objects and souvenirs, fragments of architectural objects, and sarcophagi. The temporary settings will consist of other original Roman objects until they are placed in their respective museums. 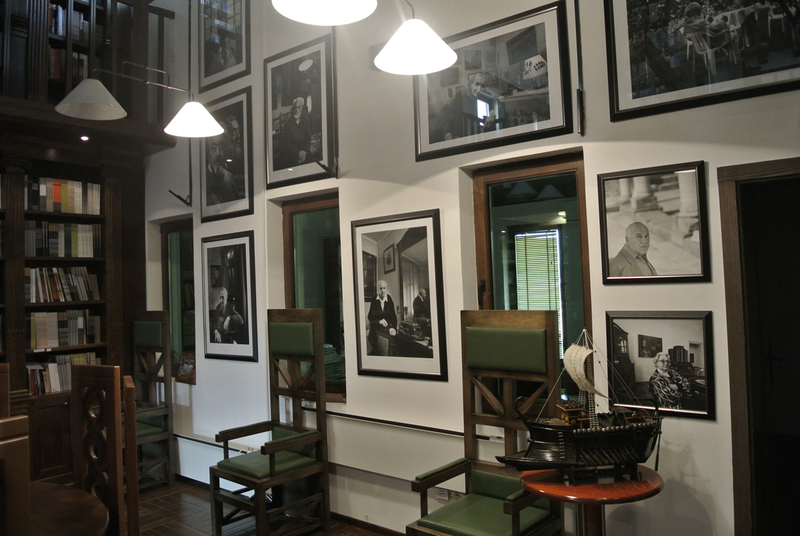 Also, the exhibition spaces will host presentations, art performances, exhibitions and installations. In addition to the stairs as the main access method to the underground levels, a low speed platform in glass is also planned, in accordance with the future interior, for people with disabilities, all persons with mobility difficulties and the elderly. The platform travels between exhibition spaces, linking three levels. The ground floor of the building is levelled in four levels, which follow the slope of the terrain. There is also a basement beneath the recreational areas, as well as a gallery above the library, dining room and recreational areas. 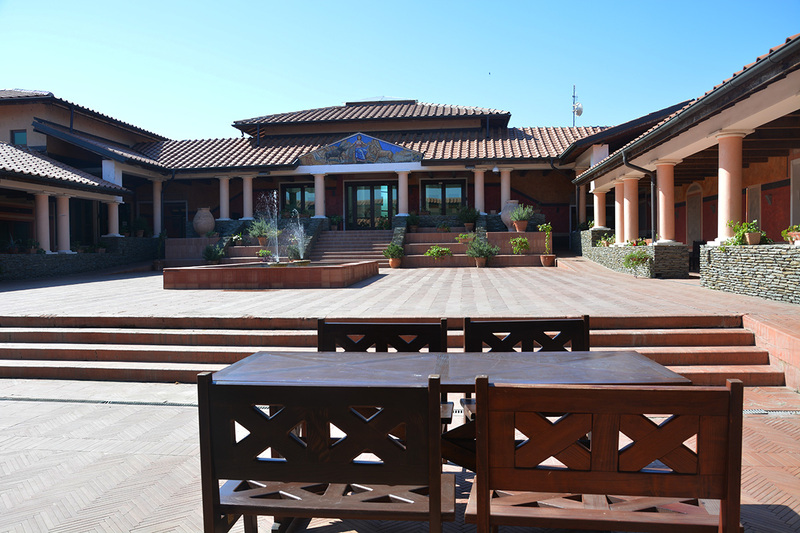 The entrance of the building is at the lowest level (-0.62m) and on that elevation there are the following facilities: entrance, security, office, concierge apartment, 3 accommodation units for 6 guests, kitchen with warehouse and staff wardrobes, restaurant with 104 seats and cafe -bar with 26 seats and a seating gallery (+2.58),with a spiral staircase leading to it. 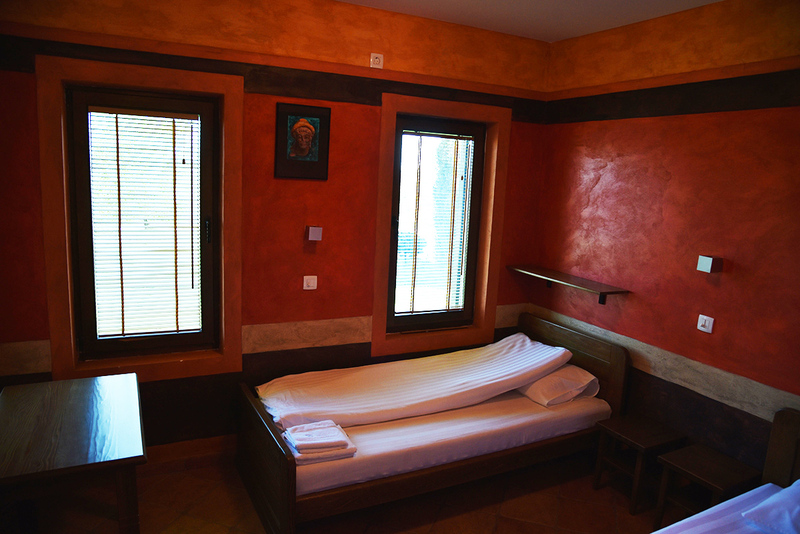 This part of the building has an attic (+2.58) which serves as a hostel system accommodation with multi-bed rooms for guest students which can be reached by spiral staircase. 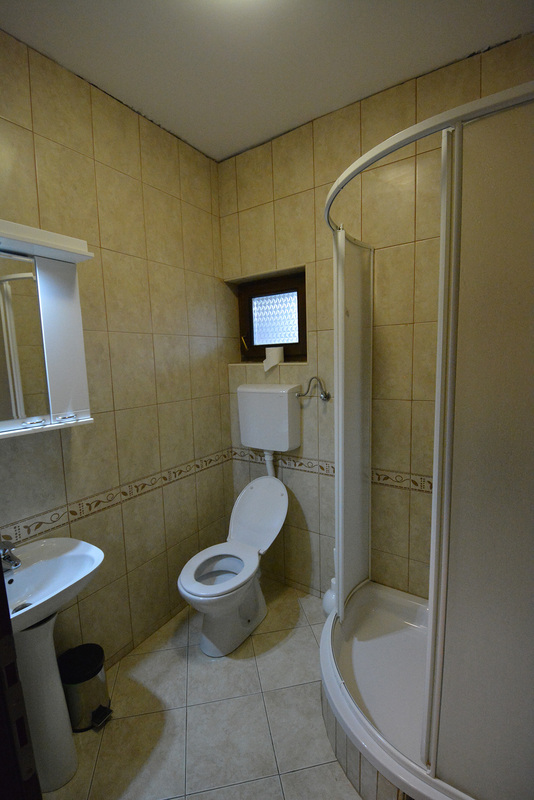 There are 2 units with 5 or 6 beds, and one bathroom is provided for each unit. One part of the attic is also planned as a warehouse and kitchen storage space, with a kitchen elevator and a staircase leading to it, and another part of the attic is foreseen for kitchen mechanical appliances, which can be accessed from the gallery above the dining room. The other parts of the building are without attics, but only have a roof-space. 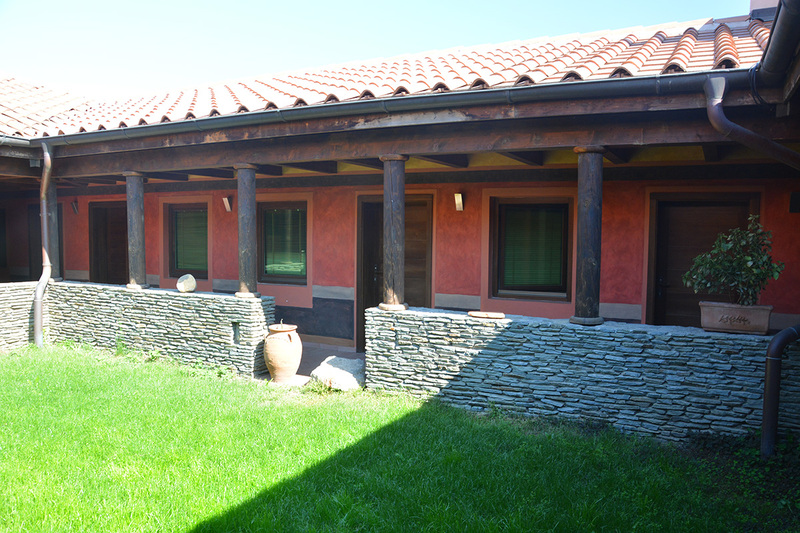 At the next elevation of the ground level (± 0.00m) there are 17 accommodation units for 57 students and 7 accommodation units for 17 professors. 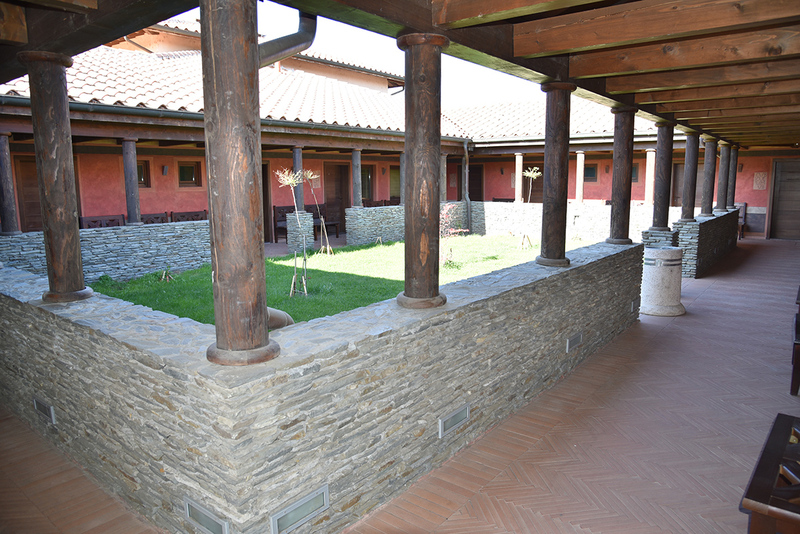 On the higher elevation of the ground floor (+ 0.62m) there are 7 accommodation units for 20 guests, a library with classrooms with 26 seats and a gallery reading room with 24 seats (+3.57), a room for relaxation with a fireplace, as well as workshops (archaeology, anthropology, pottery, drawing , geophysics, souvenirs). 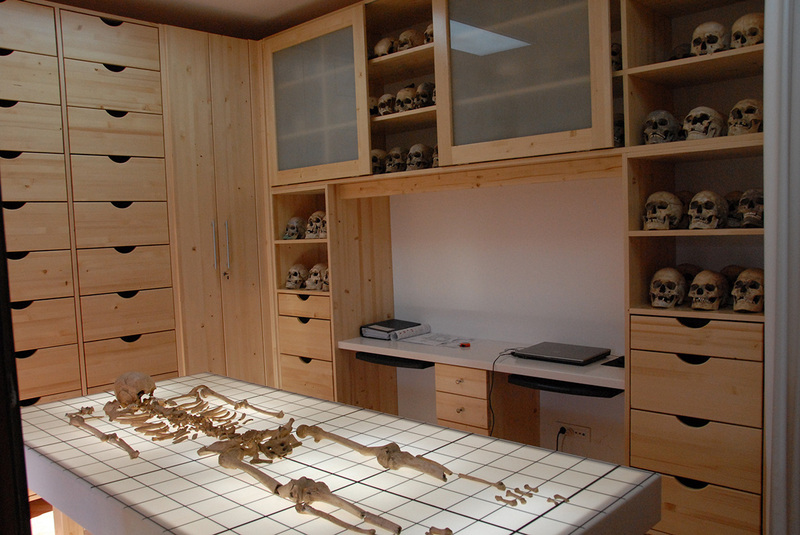 Workshops are designed for the work of students, archaeologists and other professionals who would stay there for a longer or shorter period of time. The architecture places the workshops in a “landscape” system so students can constantly communicate between themselves and with their lecturers. A part of the geophysics room is separated into a niche with computers for data processing. 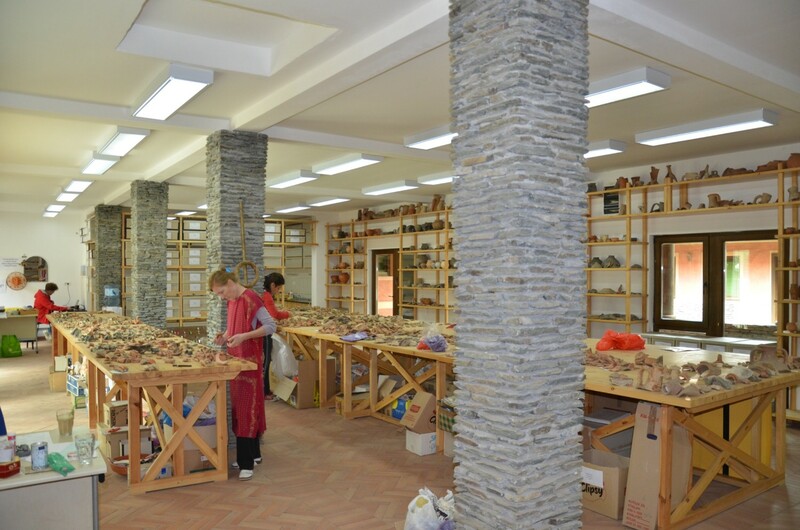 There is a separate room for pottery, an area for anthropologists, and a souvenir workshop. The workshops have 38 permanent working places. 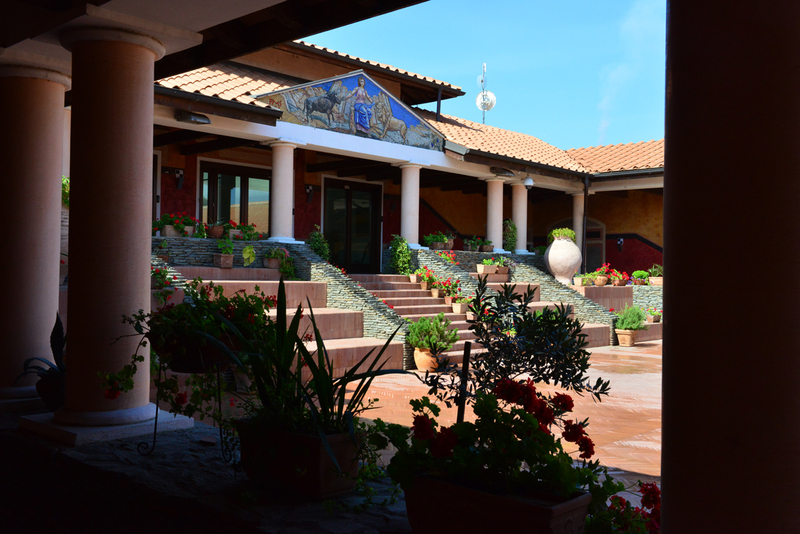 On the ground floor of the building (+ 0.62m) there is a recreational area – SPA Domus, with two indoor pools. The larger, deeper swimming pool is intended for swimming, while the smaller, shallower one serves for hydro massage. 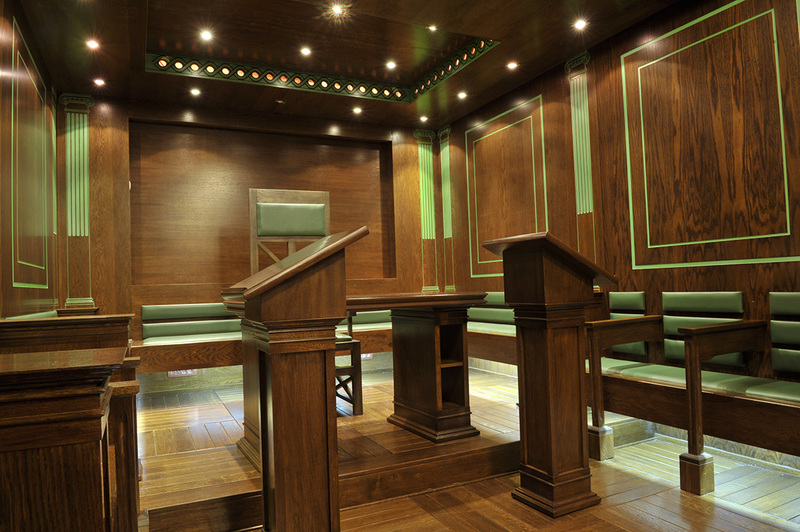 The swimming pools also have accompanying facilities – wardrobes, massage room, sauna as well as a physician. Some parts (the sauna and medical area) are located in the underground storey (-2.32), next to the swimming pool technical rooms, as well as on the gallery (+3.82) (fitness room). 126 visitors can constantly stay and sleep in the structure. 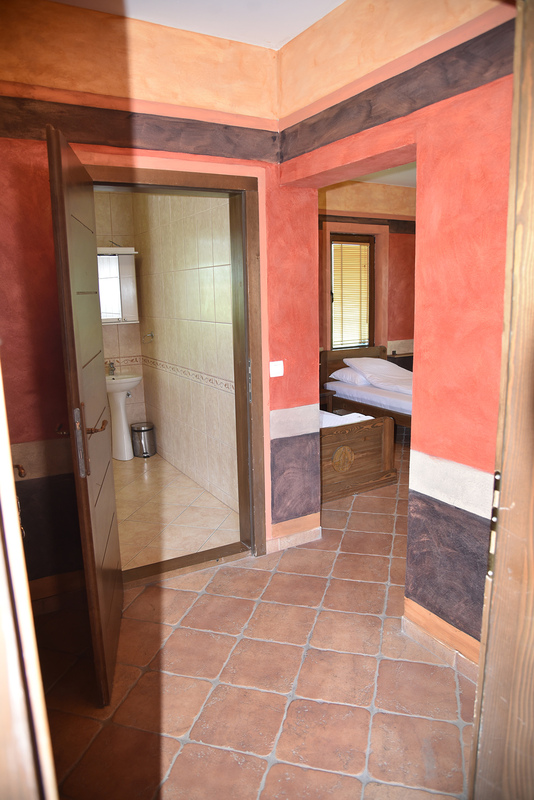 The places are arranged in the following way: 2 single rooms, 4 double rooms, 19 triple rooms, 3 four-bed rooms, 3 five-bed rooms, 1 six-bed room and 3 apartments for 2 persons. 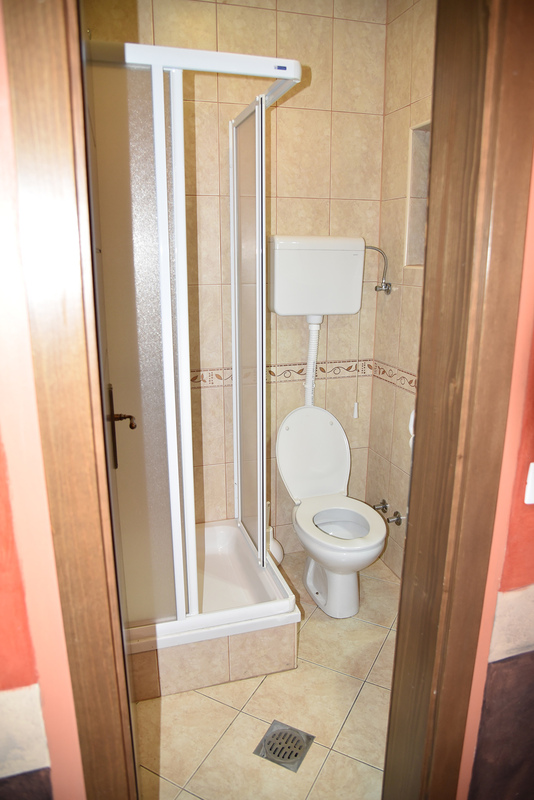 All units have a separate bathroom. 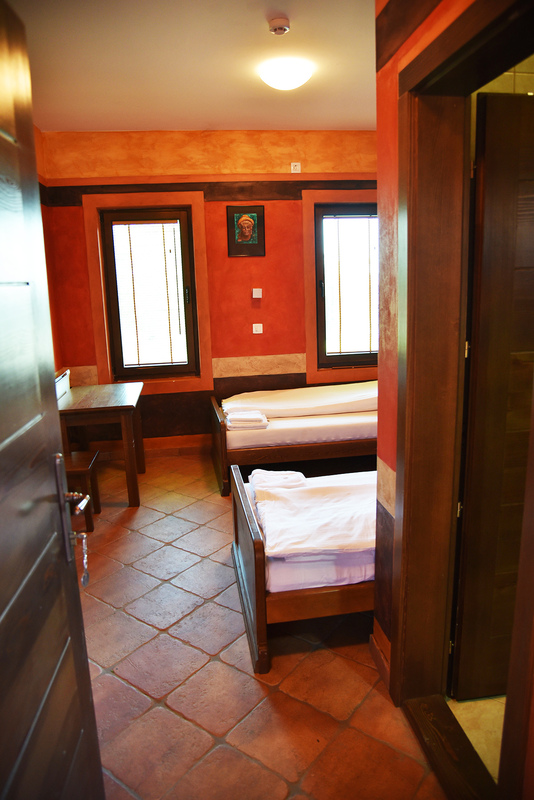 A special part of Domus is intended for accommodation of students who stay for a shorter period in the field. It is located in the attic of the structure that can accommodate 20 students and they will be separated only by boxes and have two bathrooms per one wing. At the highest level of the ground floor (+ 1.55m) there is a central exhibition space from which the staircase leads to the underground levels and which, with the opening in the panel, has the role of a gallery with a view to the exhibition level below. A staircase leads to the central exhibition space, and a platform for disabled people is also planned. 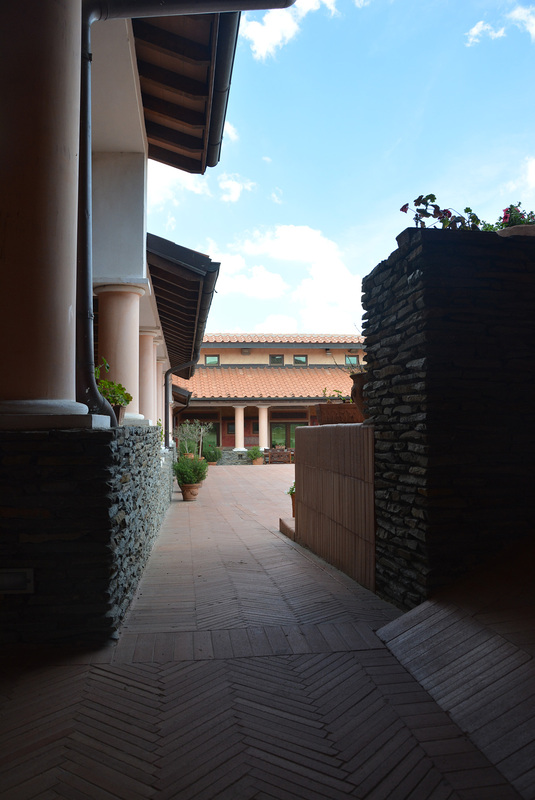 All levels of the ground floor are interconnected by covered spaces – porches and atriums. The accommodation and workshop wings have their green atriums, and the central green atrium connects them all. The central atrium is divided into two, at different levels. The atrium can also be covered someday by canvases on a wooden substructure and serve for lectures during summer rainy days. In the centre of the larger, higher part of the atrium there is a rectangular fountain, made according to the Roman impluvium. 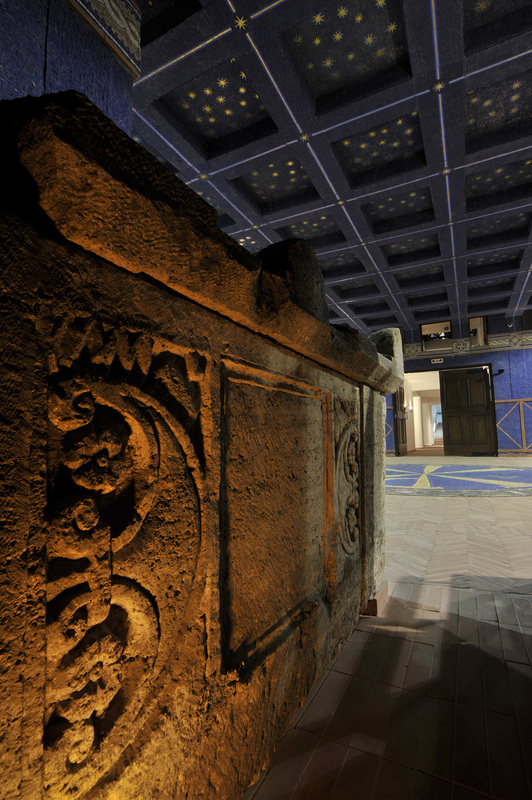 As a connection with the highest level, there is an amphitheatre seating area, located around the central staircase of the atrium that leads to the central exhibition room at the highest level. In the ground level of the building there are sanitary blocks and laundry. 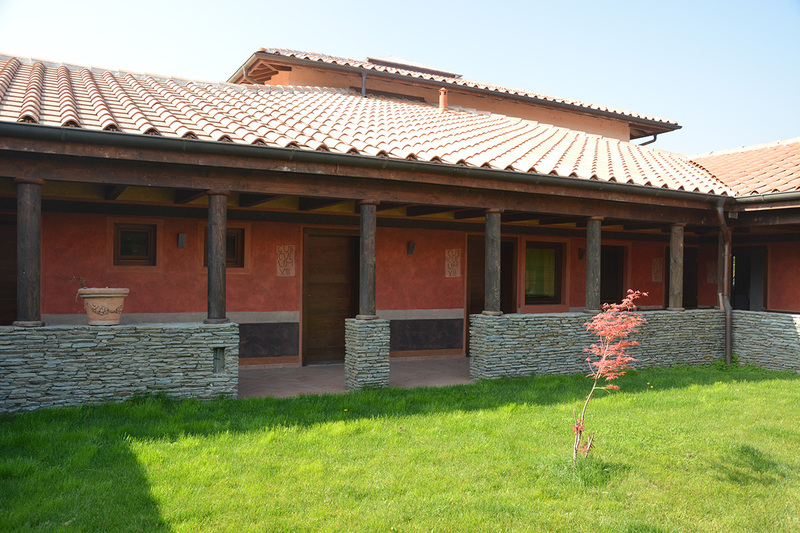 The building is conceived as traditional in regard to construction and form, but modernly equipped in respect to technology, a set of indented wings that together make a whole – a modern villa rustica. Also, the project is with its shape harmonized with the environment and with its height and size fits into the image of a flat, vast surface with antique architecture that lies underneath. 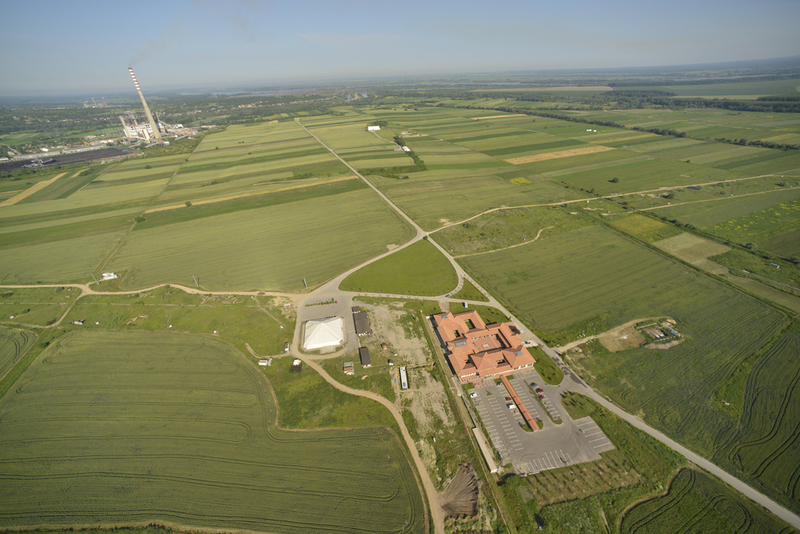 Currently the dominant architecture at Viminacium is the “Drmno” thermal power plant. 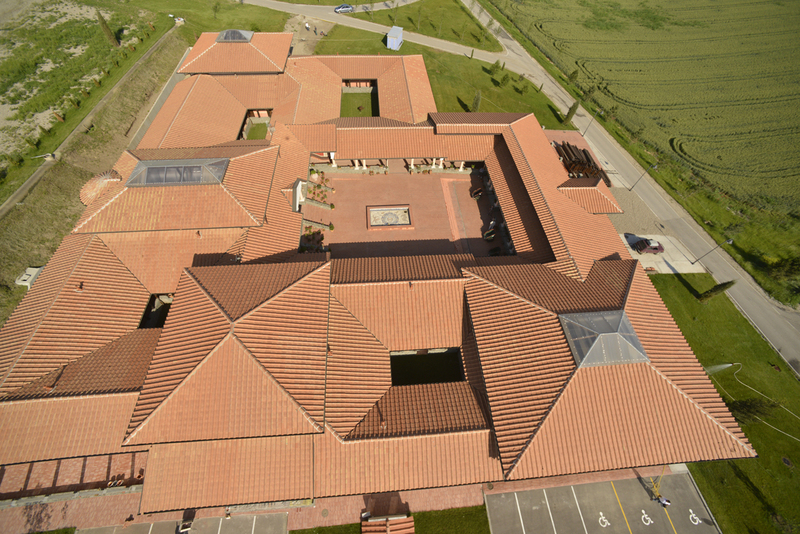 The roofs of the building are designed as oblique, complex, mono pitched, double pitched and four sided pitched roofs covered with roof tiles, a copy of the antique ones and consist of imbrices and tegulae with a slope of 20°. The roofs above the largest, common spaces–the dining room, exhibition hall and swimming pool, are designed with roof lighting through a lantern. These areas therefore do not have an attic ceiling, but have great height and a visible roof structure, as well as a library space. 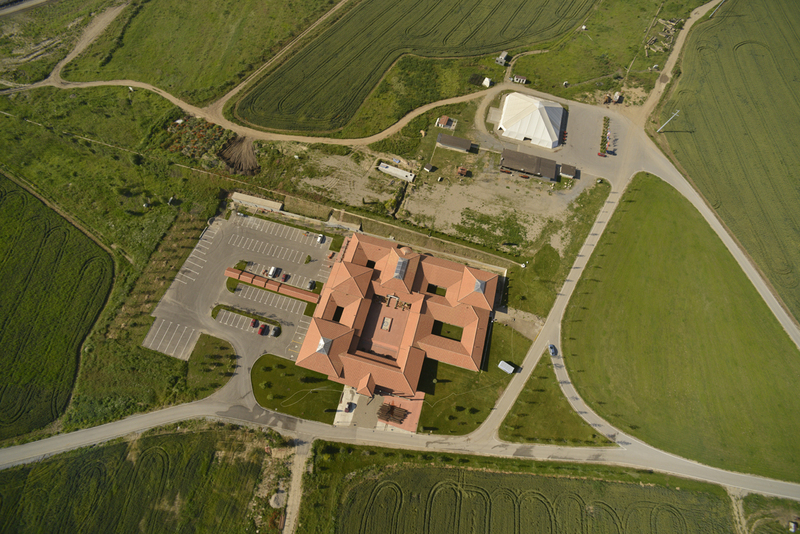 The other, accommodation areas, workshops, kitchen … have attic ceilings and flat ceilings. 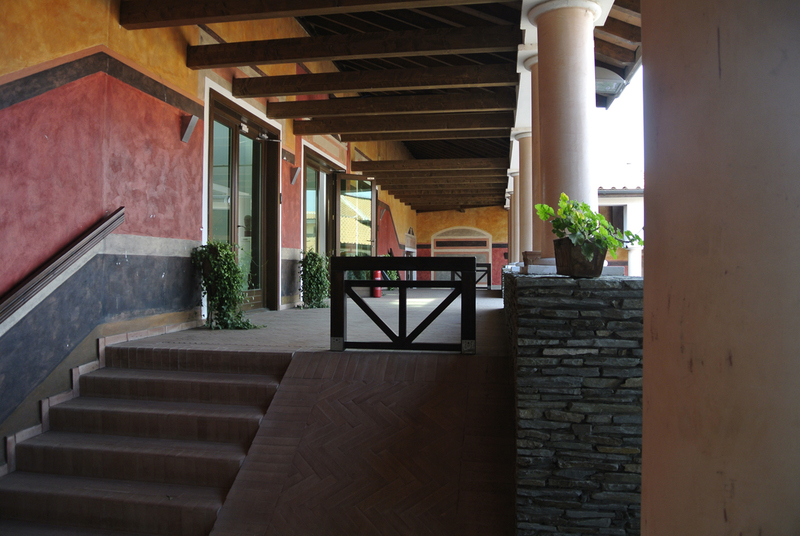 The covered porches that connect the wings of the building into a whole represent a colonnade of circular cross-section columns with postaments used as seats, a modern materialization of an antique theme. 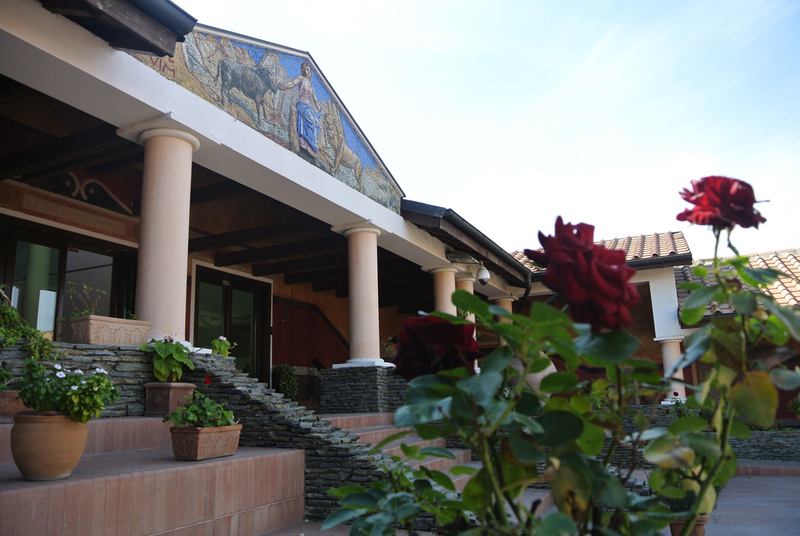 The architecture of the building has antique composition in its base and the function of the atrium that has remained attractive from antiquity to the present day. Thus, the structure becomes oriented towards its interior and intimate ambiences are created for the work and rest of visitors. 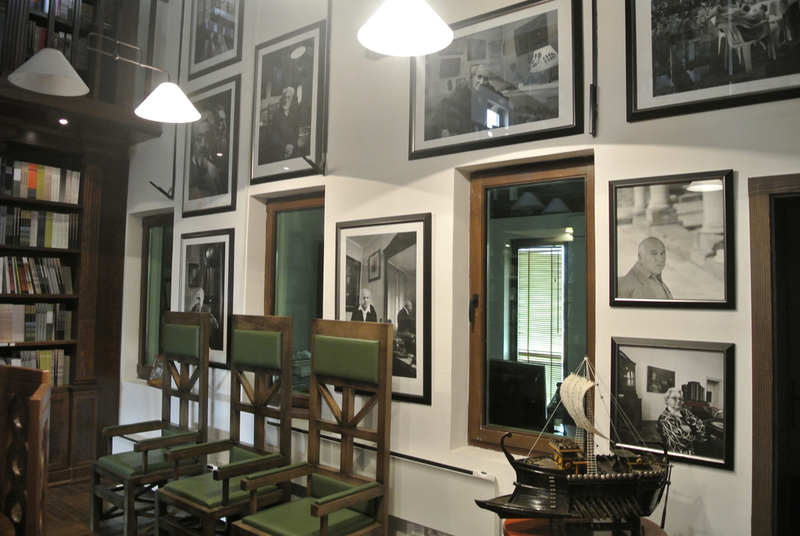 The design of the building is an attempt to combine the modern and antique, where contemporary contents with present-day equipment are placed in an antique atmosphere and as such, they make one feel as if one is living in the antique period. In terms of construction, the ground floor of the building is conceived most of all as a traditional masonry structure with reinforced concrete ring beams. 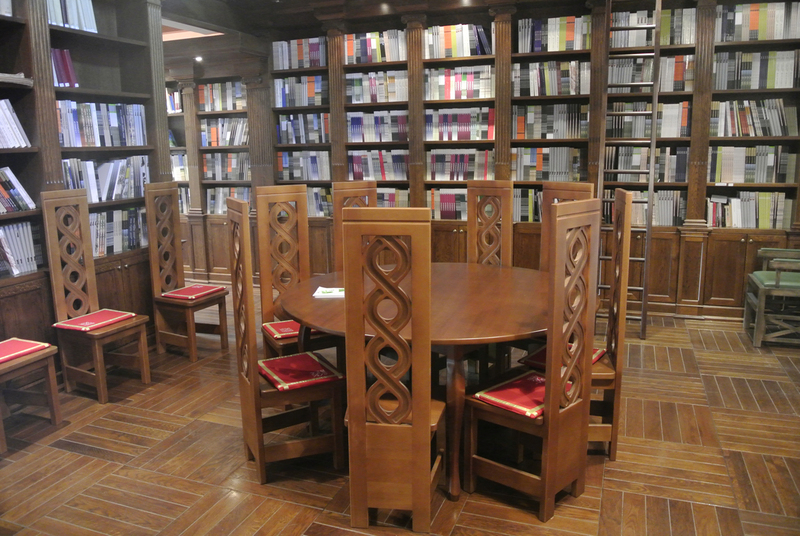 There are also combinations of skeleton construction made of reinforced concrete pillars, beams and wooden bearers (dining room, swimming pools, exhibition space, and library). Lanterns on roofs are formed by wooden construction and aluminium frames with glass filling. The ground floor is effectively designed with dilatations. 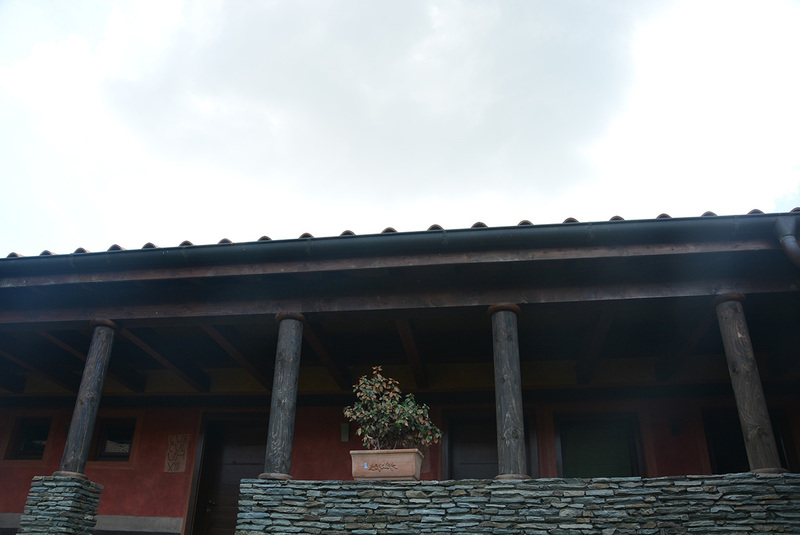 The roofs are built with a classical construction made of lamellar wood, and the attic ceilings are prefabricated “fert” ceilings. The attic ceilings are located above all spaces except the atrium porches, dining room, swimming pool, and classrooms in the part with the library and exhibition space. 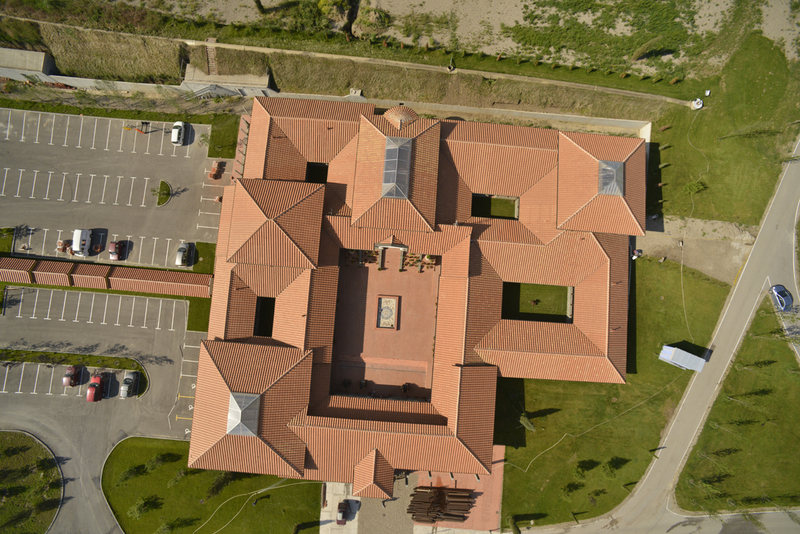 Roof construction relies on walls, and reinforced concrete systems. 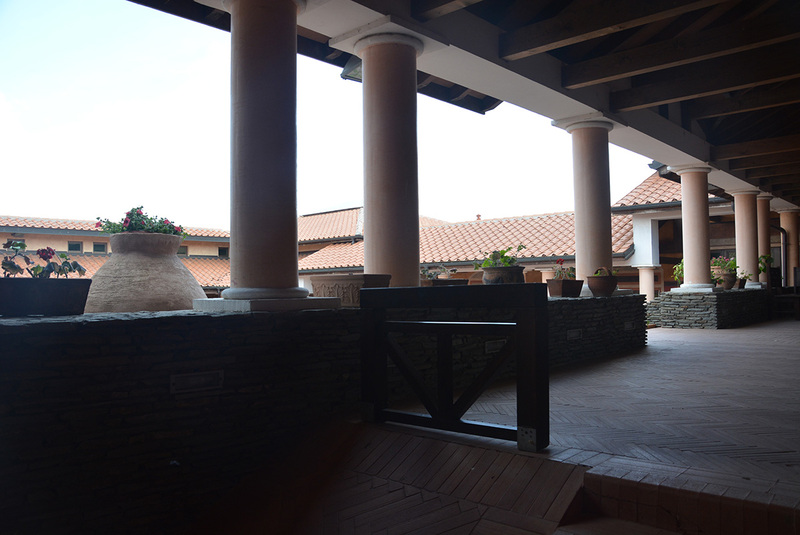 Porch roofs that close atriums rely on colonnades. The underground part of the building consists of two levels whose elements are reinforced concrete slabs, walls, beams and columns. The ceiling above the largest underground space is coffered in order to master a large span (12.20mx9.35m) without column support. The ground-floor part of the building is based on continuous reinforced-concrete footings, while the underground part with two levels is founded on reinforced concrete slab of peripheral reinforced concrete walls. The staircases are made of reinforced concrete. 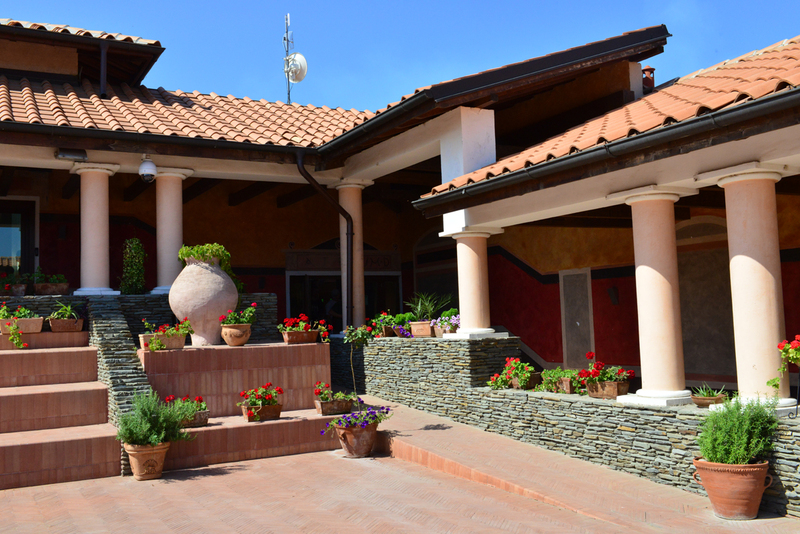 The facades of the building were treated with a combination of painting, stone coating and glass surfaces. The walls of the wing towards the atriums are insulated as external. The partition walls between the interior spaces of the units, as well as the outer walls are made of ytong block and they are also bearing walls. In a small percentage, partition walls of the ytong block are also present, and working spaces also have movable glass and gypsum-cardboard panels. The porches are supported on columns with a circular cross-section made of reinforced concrete and wood and have a visible wooden construction with fillings between rafters. The construction of the underground part of the building is made of reinforced concrete. The ceilings will be flat, plastered in the accommodation area, while the dining room, library, exhibition hall and swimming pools will have visible classic wooden structure combined with reinforced concrete beams and interior infilling. The ceiling of the underground room is a coffered ceiling. Attic ceilings are gypsum – cardboard plates. 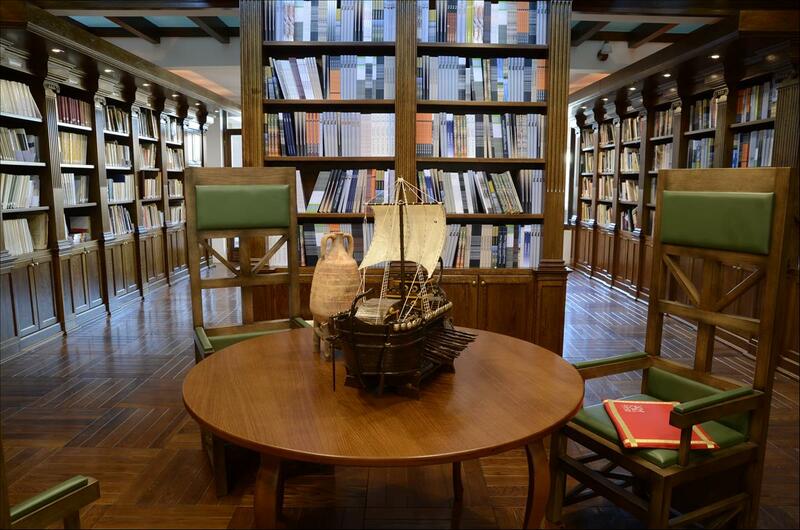 The library and the dining room will have galleries made of concrete and steel bearers. 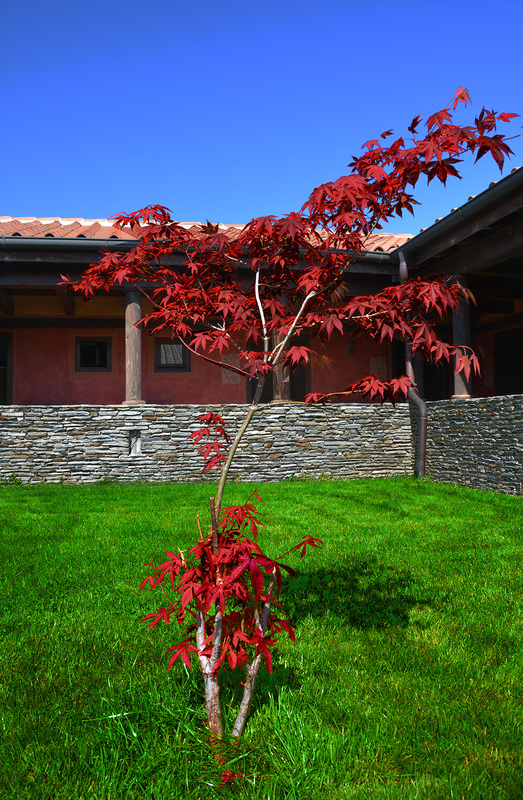 High quality, durable and ecological materials are used for the finishing of the interior walls. Finishing of flooring in all exhibition areas, restaurants, workshops and libraries is done with granite ceramics and brick. 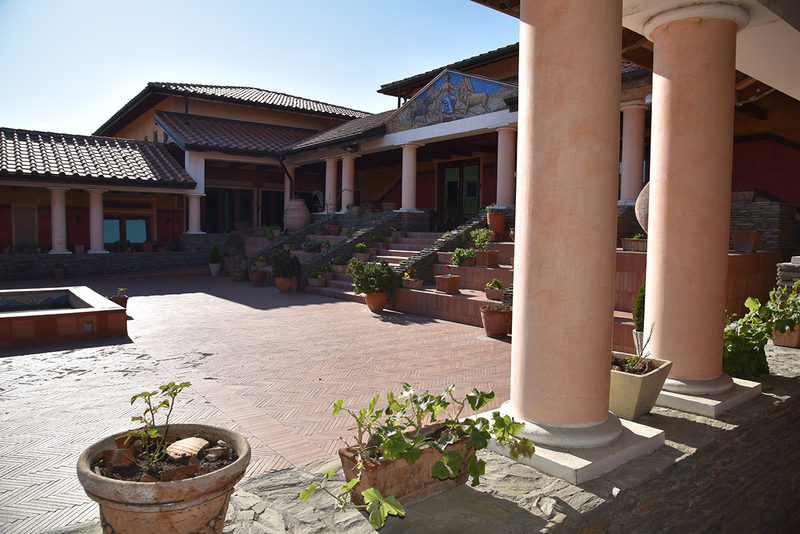 The porches are paved with stone and brick as are the central atrium with its paths around a large green area that are likewise made of brick. Smaller atriums are made green with paths of paved bricks. 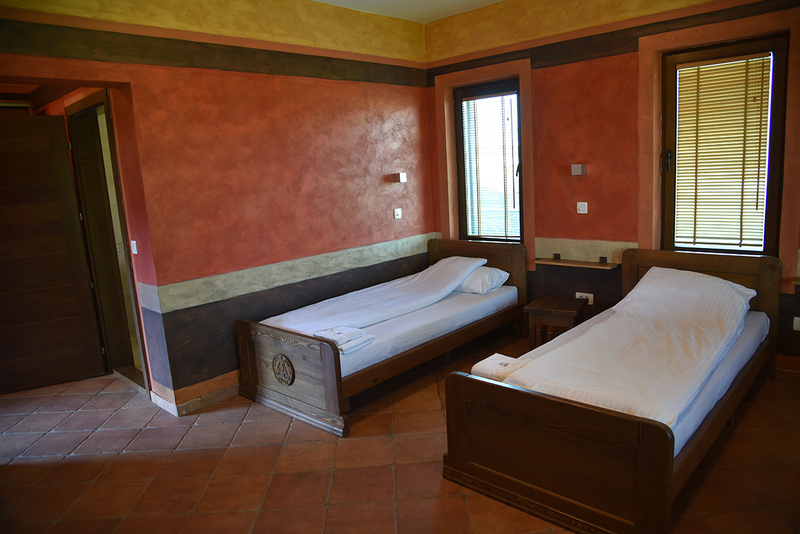 The floors in the accommodation premises are made of wood. 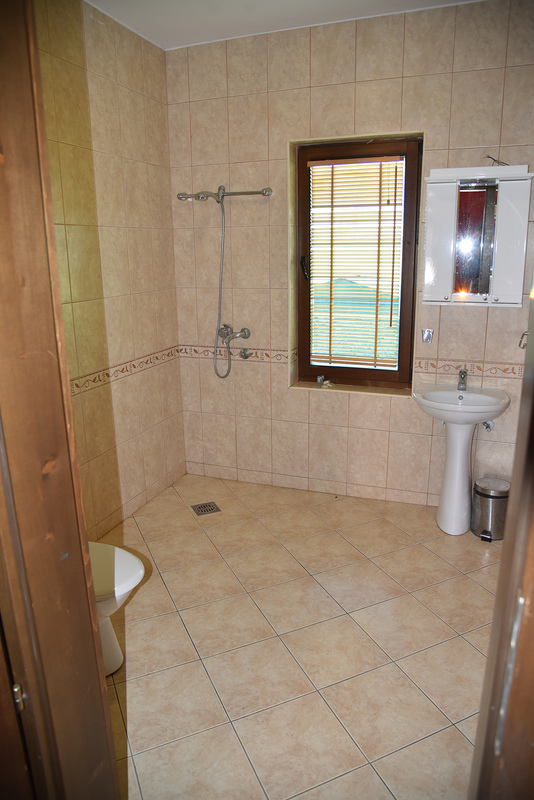 Floors of all toilets, as well as kitchens, wardrobes and warehouses have non-slip ceramic tiles. Floors and walls are executed in all aspects according to the Elaboration of Building Physics and Architectural-Construction Details. 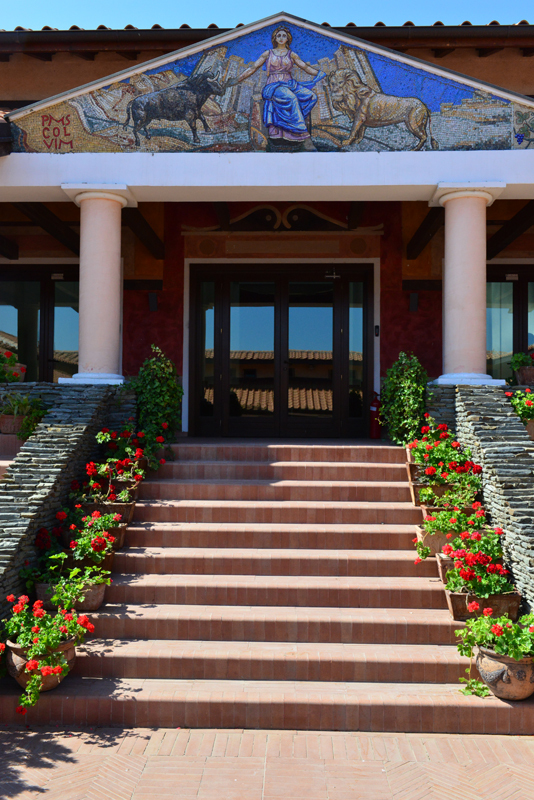 Windows and doors are made of wood, and fire resistant metal doors are planned as required for fire-fighting circulation. Horizontal and vertical waterproofing is provided on all surfaces and joints where it is compulsory or if additionally needed, and it is designed according to the manufacturer’s technology. 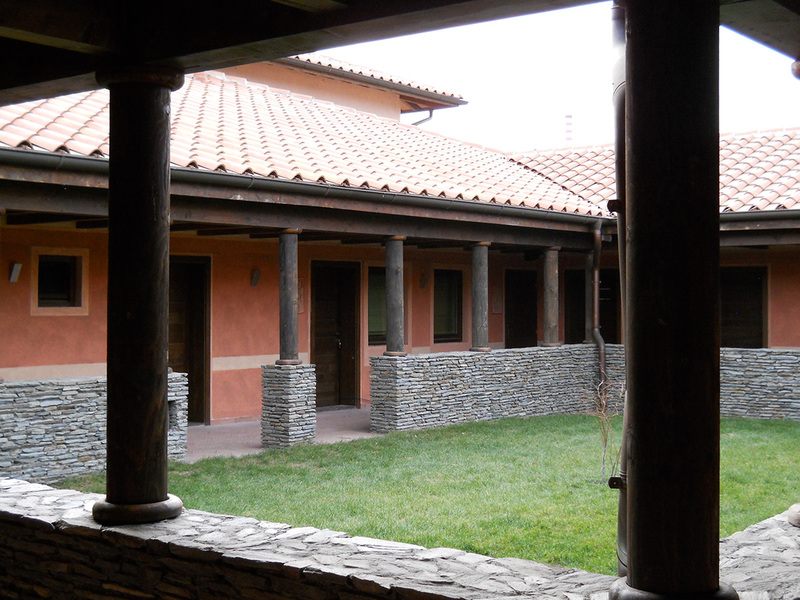 Thermal and acoustic insulation of the building are carried out in all aspects according to the Elaboration of Building Physics and Architectural-Construction Details. In the future facility, all infrastructure and accompanying systems required for performing assigned functions according to the project task are planned. Within the plumbing and sewage installations, an external secondary distribution of rain drainage, a water supply system within the facility, an external hydrant network, a faecal and rain drainage system within the facility and all necessary sanitary facilities are foreseen. Foul sewer connection is executed on the existing or future septic tank, while drainage of the rainwater is done over the surrounding area. Drainage of roof planes is solved by roof gutters and drain flumes in atriums, which are connected in a unique system that is taken outside the building. The structure will be connected to the future water supply network. Within the framework of thermo technical installations the following installations are foreseen: radiator heating, underfloor heating, surface heating, ventilation, cooling, as well as preparation of consumable hot water in central boilers and the electric boiler room. The electrical power installations include the internal connection of the structure with the distribution of electrical energy in the facility, installation of interior, decorative and lighting of internal communications and entrances, anti-panic lighting, installation of external lighting around the facility, installation of electrical connections, installation of power supply and air conditioning control, ventilation and heating, overload, short circuits and excessive touch voltage protection, as well as the installation of lightning rods. For functioning of the electric power system, it is necessary to provide a substation. The following installations are planned within the telecommunications and control installations: telephone and computer installation, fire alarm installation, anti-burglary installation, access control, video surveillance, sound system and common antenna system. Technological equipping of swimming pools, as well as mobile fire fighting equipment in all areas are also planned for the structure. The access road to the building is connected directly to the main road which links the Viminacium sites. The parterre arrangement includes the following units: access paved plateau north of the building, parterre lawn with resting place on the west side of the building and stone seating benches shaped in antique style, atriums within the building and parking. The choice of species relies on the habitat and herbal associations located in the wider site zone, as well as on the functional requirements of the facility. Greenery in the form of grassy areas and tree planting will be added to the surrounding area. 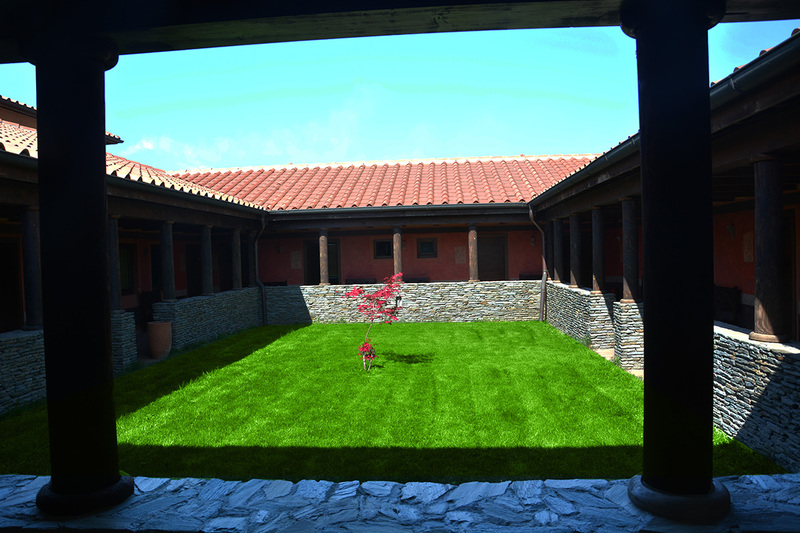 Part of the building in the south towards the plateau situated above with the covered mausoleum archaeological site – is shaded by future seedlings and this small, secluded place turns into a place for quiet seating and relaxation. The connection between the mausoleum and the structure in question is also foreseen, if the terrain conditions and the relevant institutions allow it. The slope that is the boundary between them could become a monumental staircase that would function as their direct connection, but also as original motif of Viminacium for outdoor lectures and where visitors would sit and walk. In the future, the slope should be secured by the construction of a retaining wall. This area could also be covered with a wooden construction made of glued lamellar wood, designed to make a whole with the building. Parking with 74 parking places (3 for vehicles for disabled persons) and 4 places for buses oriented to the east of the building and frames a ramp that runs from underground space and serves as an evacuation route, but also as a route for occasional delivery of equipment to an underground multimedia hall. Parking is on a flat terrain and includes parking at an angle of 90⁰. For the purpose of complex utilization, upgrade of the existing local road and crossroad in accordance with the expected traffic intensity after the opening of the complex for visitors is planned by the design. Comfortable and undisturbed entry and exit into the business complex and at the same time regular drainage of built-up areas by gravity discharge to the open gutters and newly designed sewage is enabled. The total net area of the structure is 3,701.36m2, and the total gross area is 4,287.21m2. The overall traffic area – parking, access and ramp, is 5,232.00m2. There are 357.34m2 of green areas in the structure and 2,930.00m2 outside the building. Outside the structure there is a total of 1,300.00m2of pedestrian areas. Construction of the facility is planned in several phases over22 months. 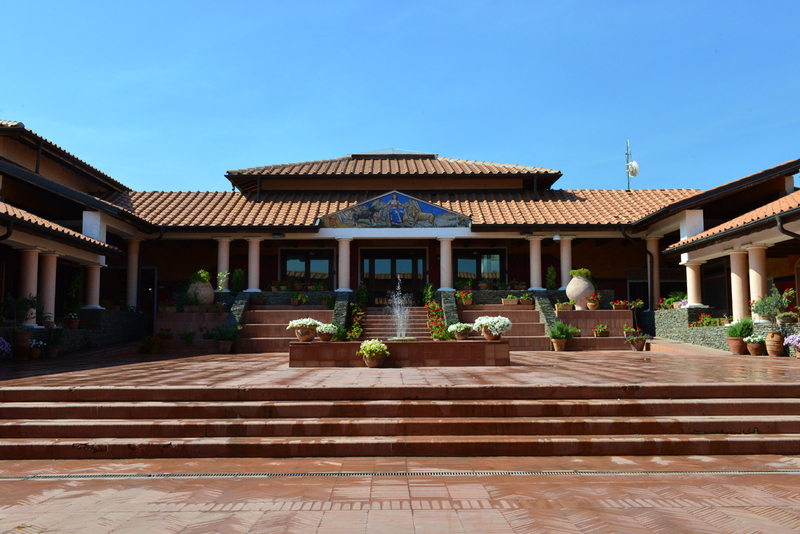 Sources of funds for building are revenue, donations, income from tourists who constantly visit the site throughout the year, and funding by state institutions. The facility would be in operation throughout the year. In the spring of 2010, we would host the first permanent guests – tourists, who would visit Viminacium and the Braničevo district, as a stopping point in Serbia on their journey along the Danube with ships. Their number would increase during the summer, together with pupils and student workshops and summer schools. 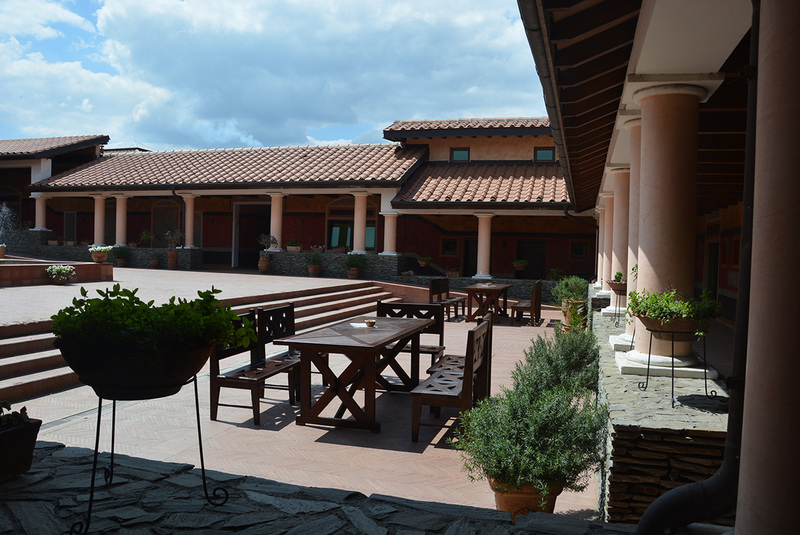 In autumn the first pupils and students excursions would be welcomed, and winter would be reserved for scientists and other science lovers who need peace and solitude for modern research and work, all in the Roman ambience. 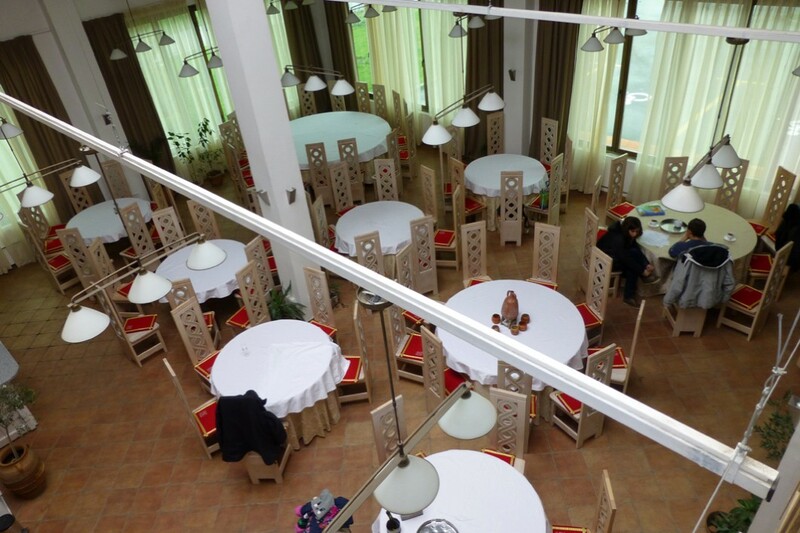 It is also very important to point out the fact that Domvs Scientiarvm has an indirect function in terms of raising the cultural and economic level of the region – the Braničevo district, as a tourist segment, as well as in the employment of a wider circle of local and regional population. Its special function is in the presentation of Serbia, since it will certainly be linked to the existing routes of Roman itineraries that exist in Europe. 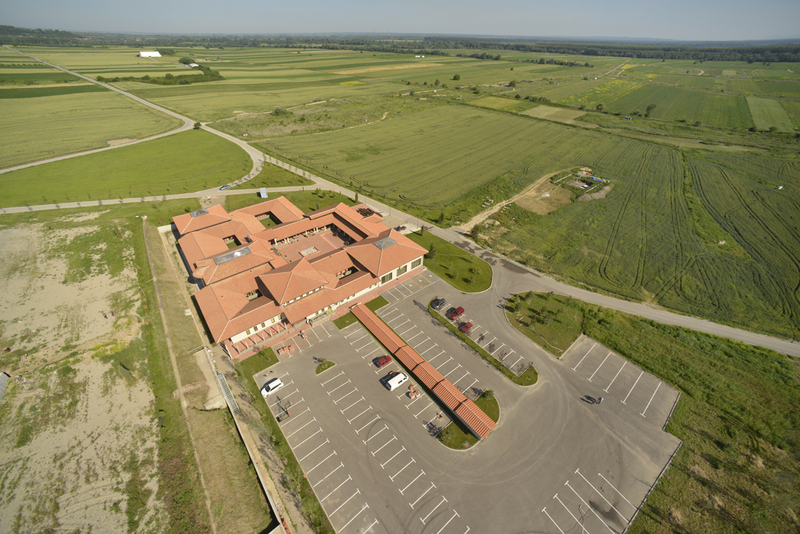 The construction of the Domvs Scientiarvm Viminacivm would cost about 2,500,000 Euros. Architectural and civil engineering works are needed including specialist’s trades, heating, cooling, ventilation and boiler room, high current installations – electric power installations, internal water supply and sewage installations with sanitary equipment and swimming pool technology and an external hydrant network, low current installations – telecommunications and control, works related to providing equipment for vertical and inclined transportation of passengers and goods – platforms, landscaping works with horticulture and parking arrangement. 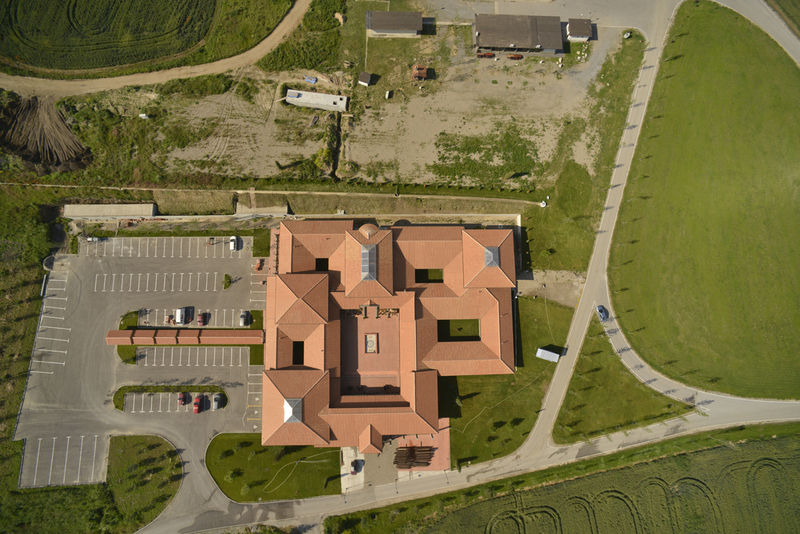 This can be accomplished in two ways: first, by providing services using the latest state of the art technology not only in the field of archaeology, but also in other areas (application of ground penetrating radar, magnetometer, GPS devices with sub-centimetre precision, geoelectrics, 3D scanning with scanners of the latest generation and 3-D models of the structures below and above the ground surface). 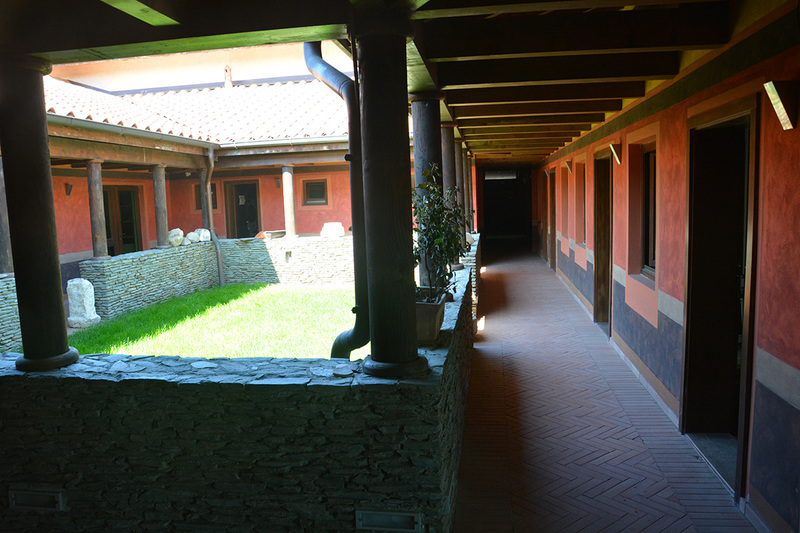 A second method is provided with the funds earned from tourists who come to Viminacium. Funds earned in these two ways are immediately placed in two basic directions: a) in the employment of the local young population, and b) in the construction of the Domus. In March 2006, a pontoon access for large ships, over 150 meters in length, was built in Viminacium. During 2008, the arrival of visitors by the mainland was about 55,000, and an influx of tourists by waterway was around 12,000. 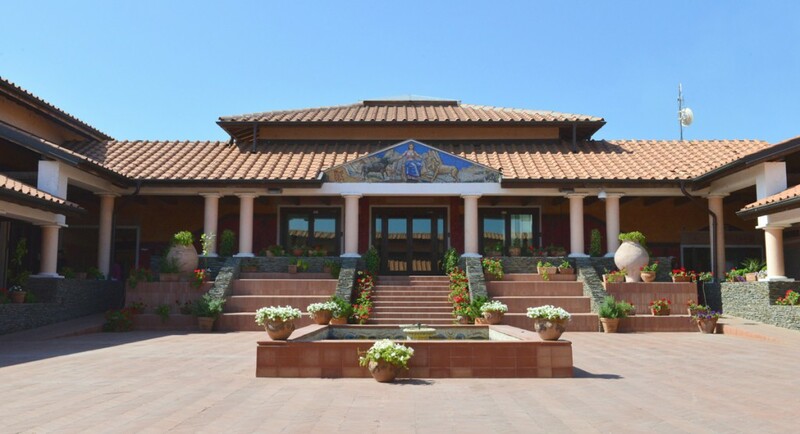 According to the agreement already reached with European shippers, it is predicted that in 2009, about 20,000 tourists, via the Danube alone, will visit Viminacium. It is expected that by 2011 this number will increase to around 100,000. 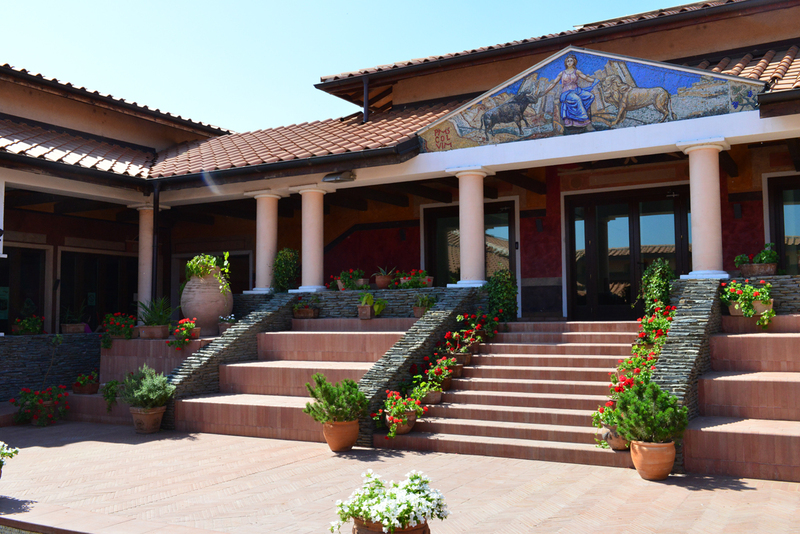 The goal is that in 2013, all 600 ships with over 200,000 tourists will visit the Viminacium Archaeological Park. According to these indicators alone it ensues that DOMVS SCIENTIARVM VIMINACIVM, as an extremely attractive location, could return the invested money within 3-4 years. 4 large objects are covered: paleo-Christian memoria, the northern gate of the legionary fort, the Roman Thermae, the mausoleum where the Roman Emperor Hostilian is most probably buried. The fresco-painted tombs are Viminacium’s jewel. The finding of these frescoes is an extraordinary discovery, since they represent the most important frescoes of the Late Antique period from the whole territory of the Roman Empire. 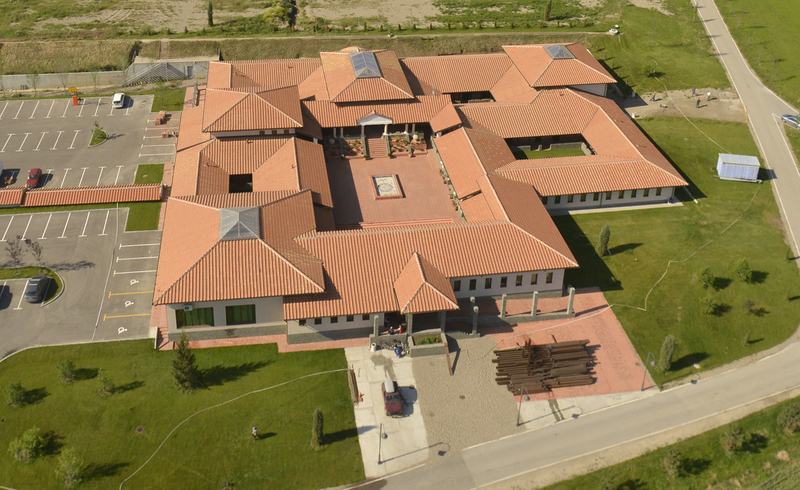 DOMVS SCIENTIARVM VIMINCIVM with almost 5,000m2 is placed under a roof and prepared for the opening ceremony by September 2010. 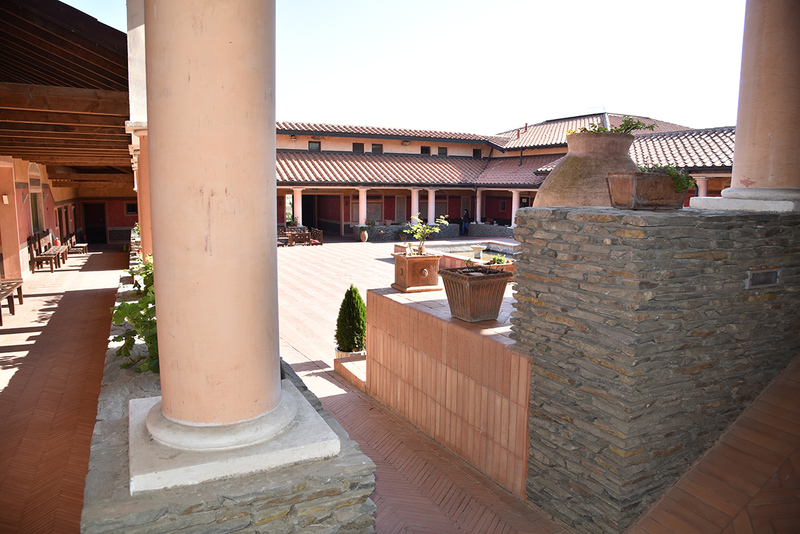 By the end of September 2009, the west wing will be already equipped to accommodate archaeological and multidisciplinary teams working on Viminacium. A Roman amphitheatre with 12,000 seating places is excavated. The amphitheatre is being prepared for 2010, when Mediterranean Games of ancient drama with thousands of participants will be held. A Roman aqueduct of 1700 meters length was investigated. The aqueduct and Castelum Aquae are being reconstructed, where visitors will be able to observe the way a Roman city was supplied with water and how the water utility service was functioning. A B4 format of ITINERARIUM ROMANUM SERBIAE was prepared in English, German, Italian and Serbian. 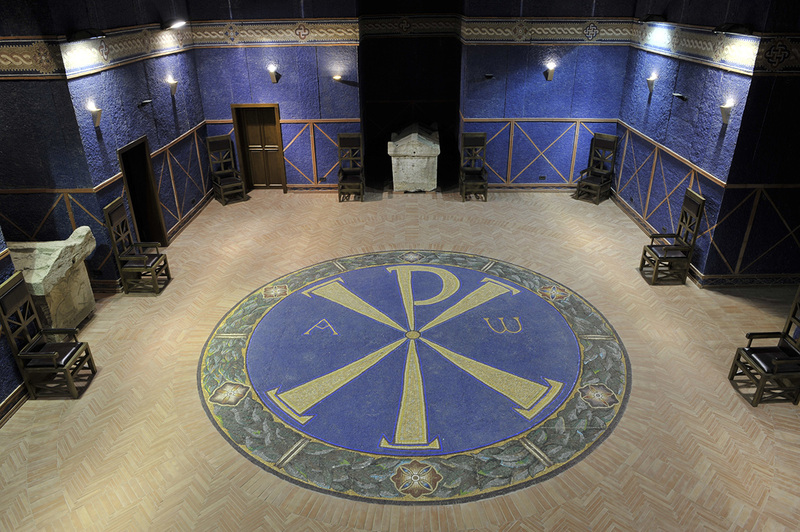 The ITINERARIUM ROMANUM SERBIAE DVD was created in English, German, Italian and Serbian. Over 700 different souvenirs were made by our top designers. A number of copies of Roman golden and silver jewellery were made. 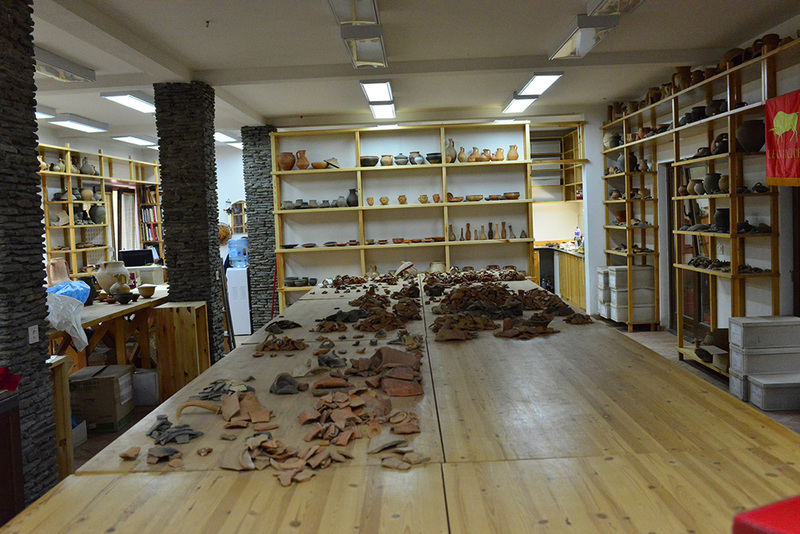 Copies of Roman vessels were made. Copies of Roman lamps were made. Copies of Roman fibula were made. 720 men’s Roman togas and women’s chiton and hemation in the way the Romans made them were made. Numerous reconstructions of Roman war equipment (helmets, armour, shields, swords, spears, clamps, flags) were produced. Reconstructions of Roman musical instruments were made. A DVD TV film Viminacium lumen meum (English, Serbian) was prepared. 4 high quality videos were produced in English and Serbian. A Viminacium CD (in German, English, and Serbian) was made. 24-hour guard service (12 guards) is provided. Electricity has been brought to the site. 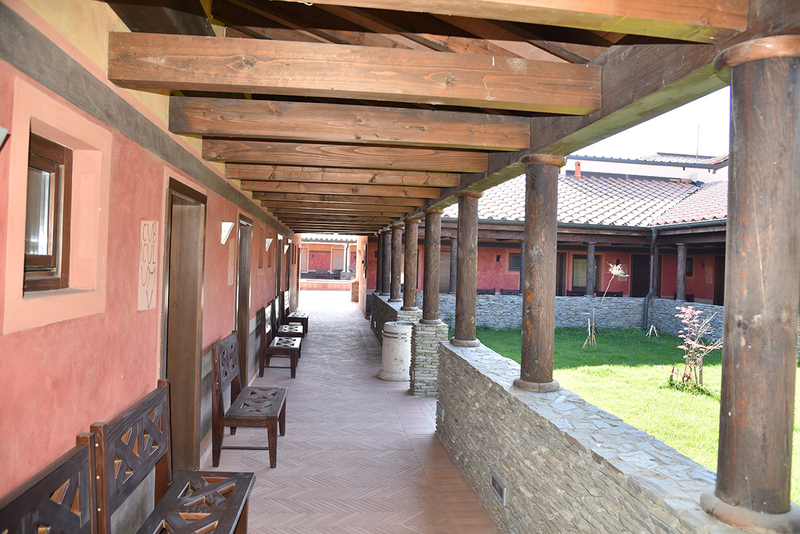 A project of tourist sign posting from all the routes to Viminacium was completed. 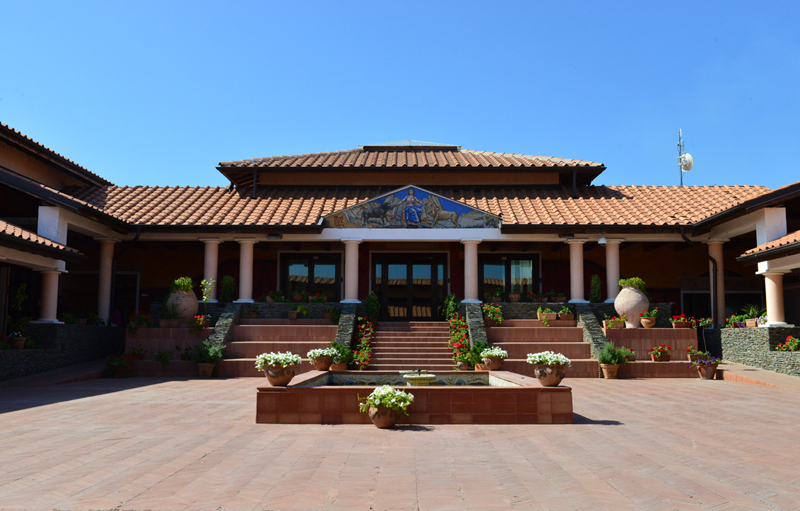 An agreement was reached with European shippers on the Viminacium visit timetable. Viminacium is included in the Atlantic – Black Sea biking route as the D210 visit point. 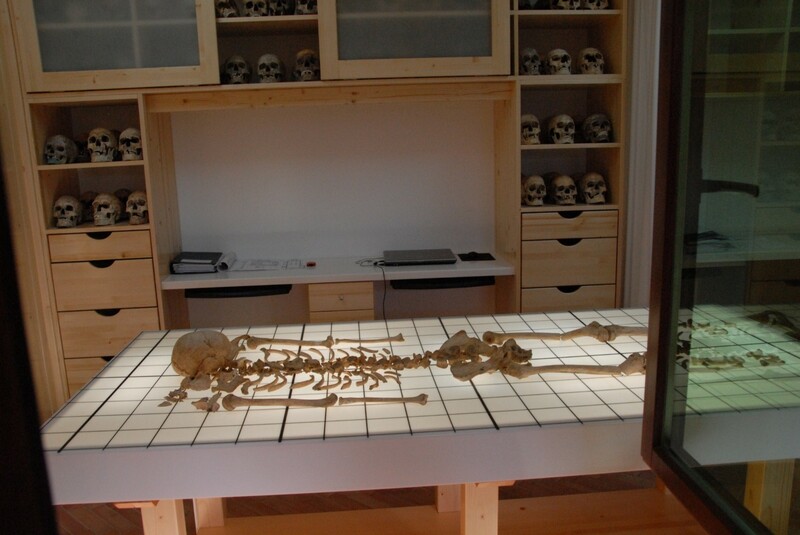 20 young people from surrounding towns are employed at Viminacium. A concert of the bands “Van Gogh” and “Revised EKV” was held as part of the world “Save the Earth” event in 2007. A concert of the opera diva Emma Shapplen was organized in 2008. 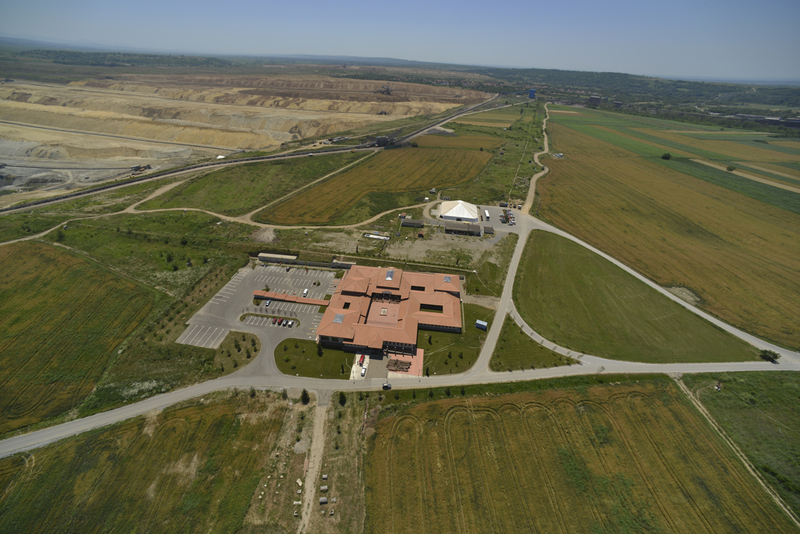 Bearing in mind that Viminacium was on the Danube 2000 years ago, excavation ofa1200 meters long, 40 meters wide and 8 meters deep channel is planned for 2009 and 2010, which would connect Viminacium with the Danube and enable the port of large ships directly to the archaeological site. 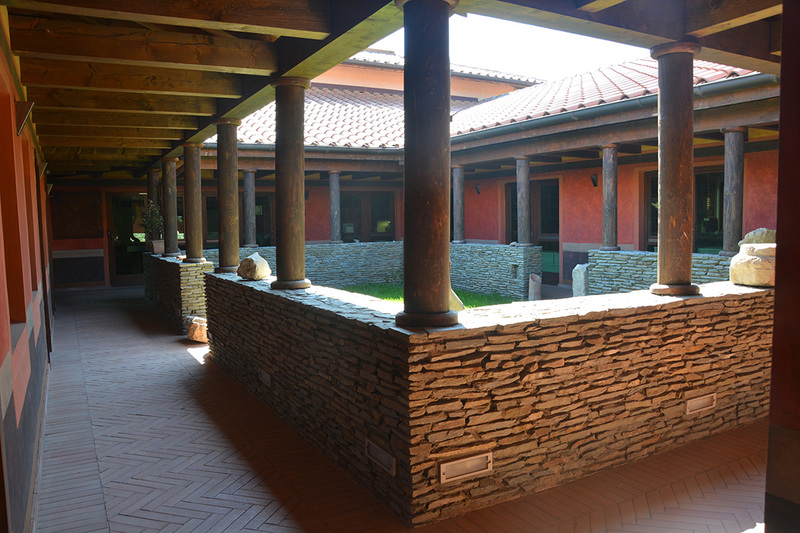 Viminacium is ranked among the one hundred places that should be visited. Viminacium is the winner of the Tourist Flower for 2008.